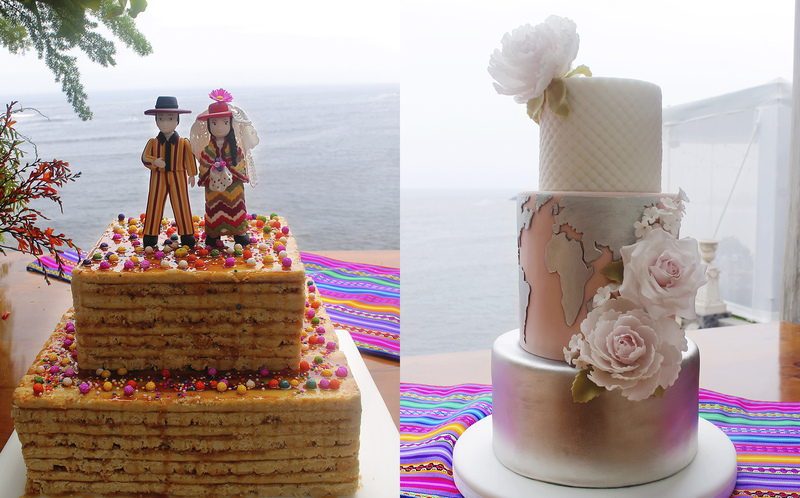 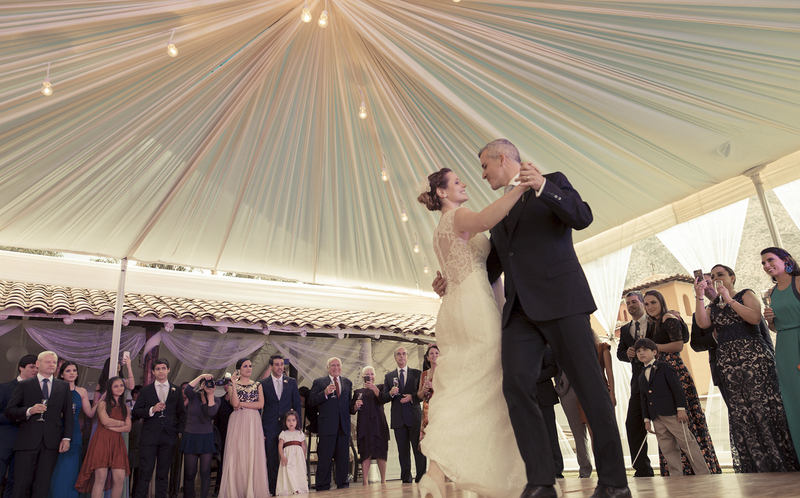 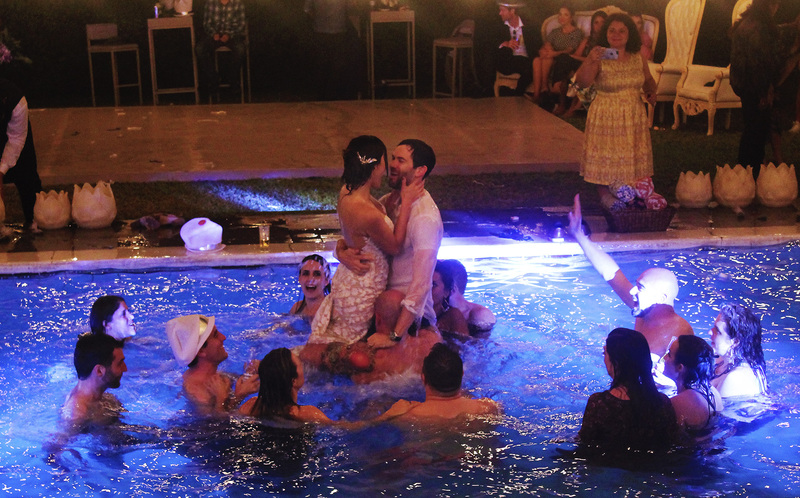 A couple of weeks ago we had the opportunity to be part of an amazing wedding celebration nearby Lima. 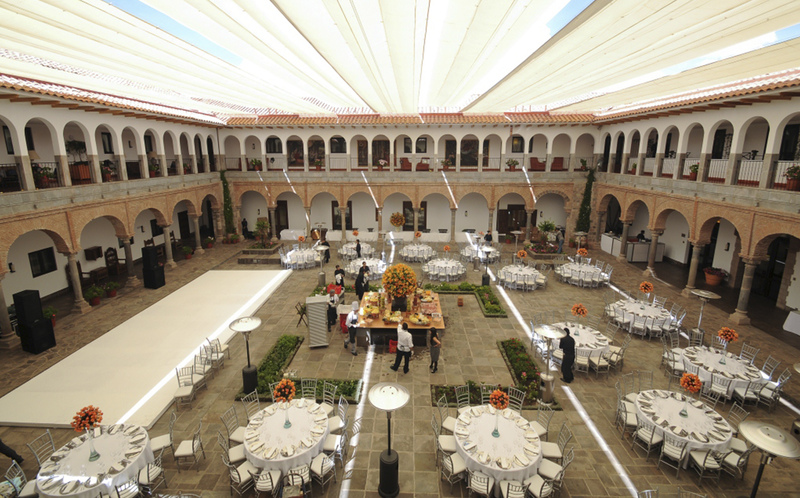 The venue of the event is one of the best we have ever seen in Lima area. 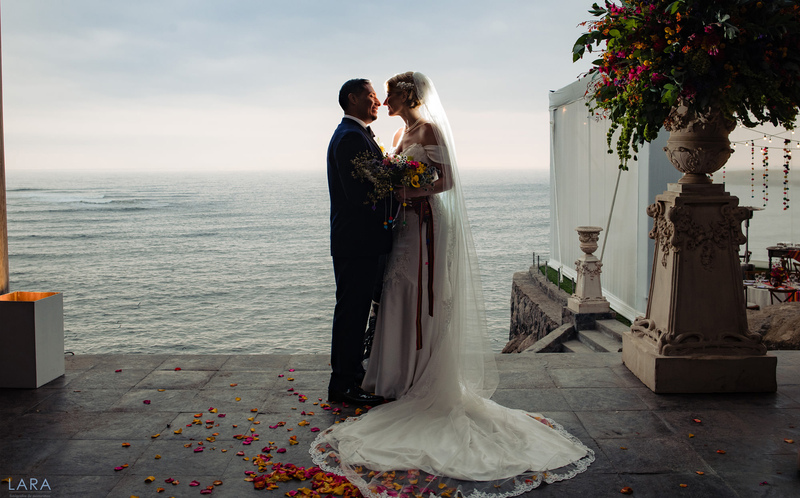 It is a beautiful Roman Empire style house located on a rock in front of the Pacific Ocean, few kilometer south of Lima city. 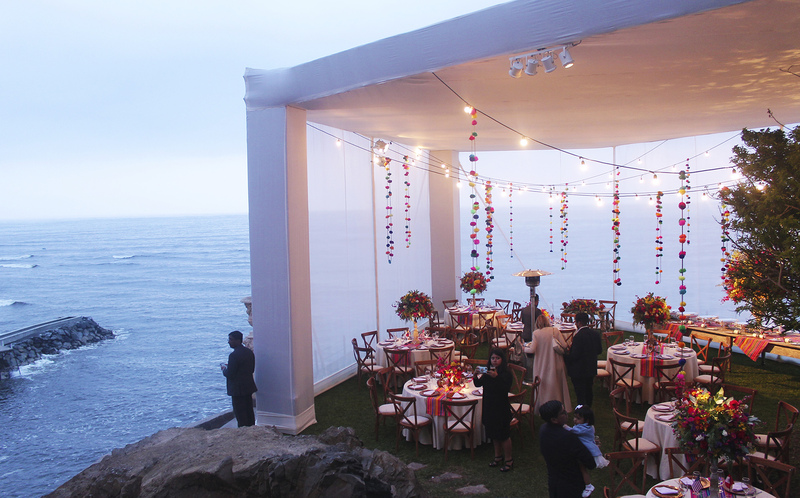 The ceremony area was basically a cliff on the Pacific Ocean and all you have in front of you was the immensity of the sea. 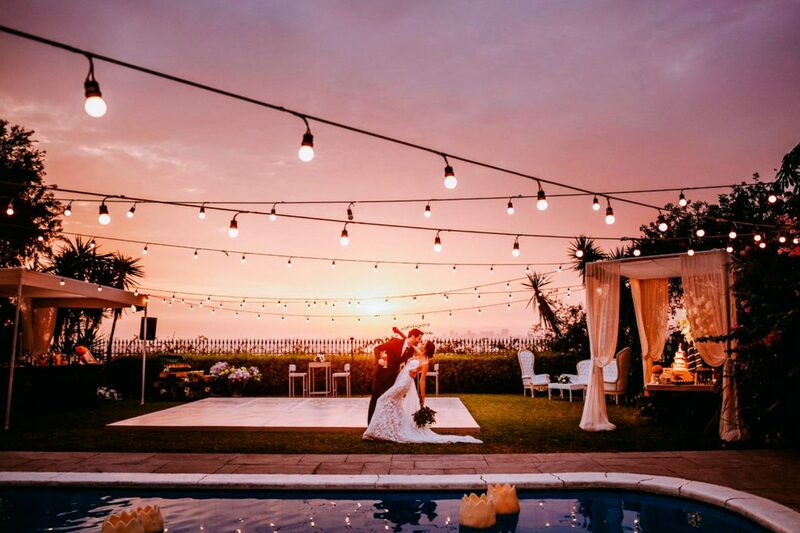 We loved so much the atmosphere of this event we planned, we were totally merged in a special setting rounded by the Ocean breeze! 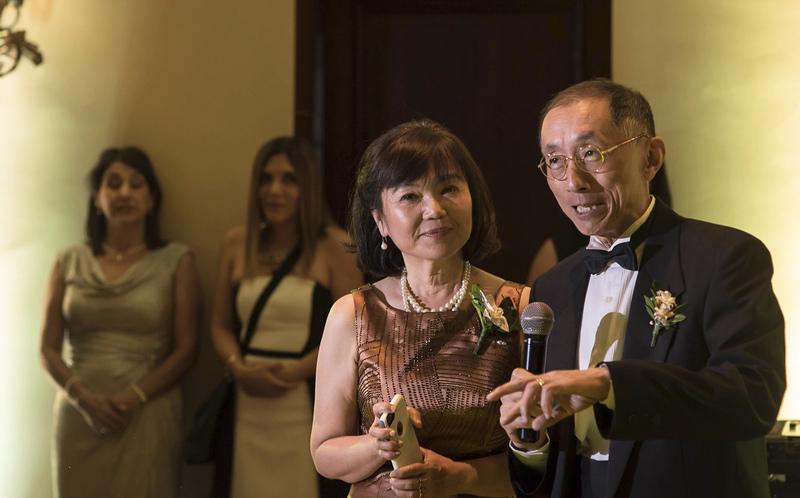 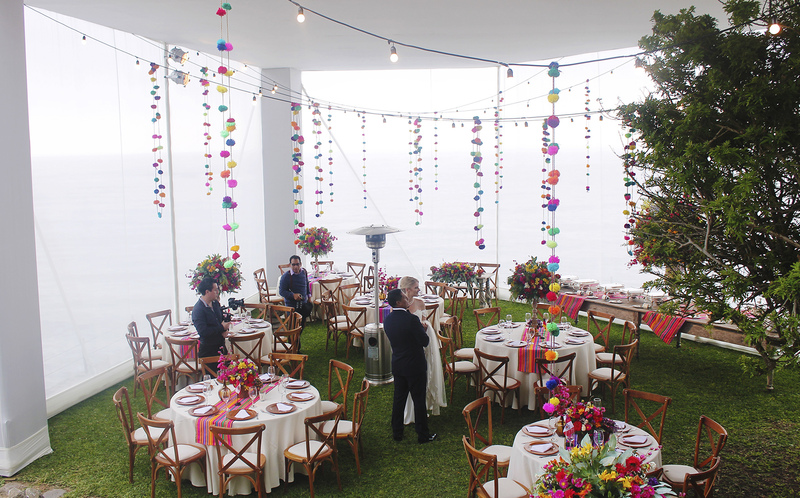 Guests were deeply amazed by the view and the outstanding details of the wedding event. 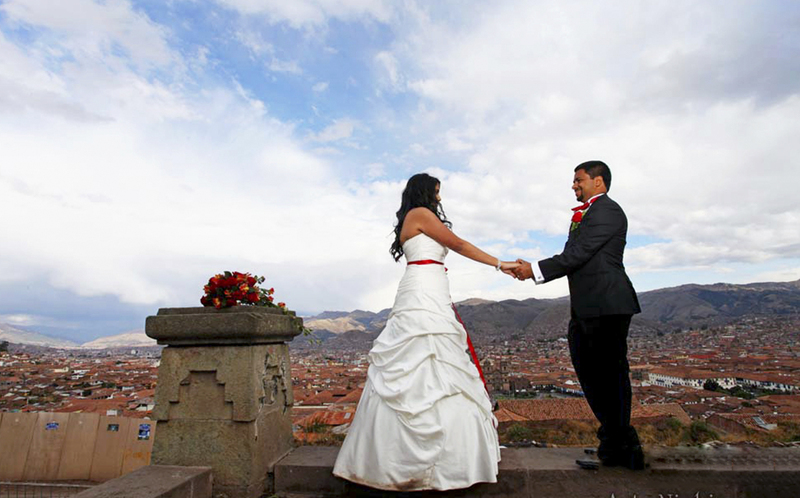 We know that for many destination weddings guests coming to Peru from abroad have high expectations on the event and the trip abroad. 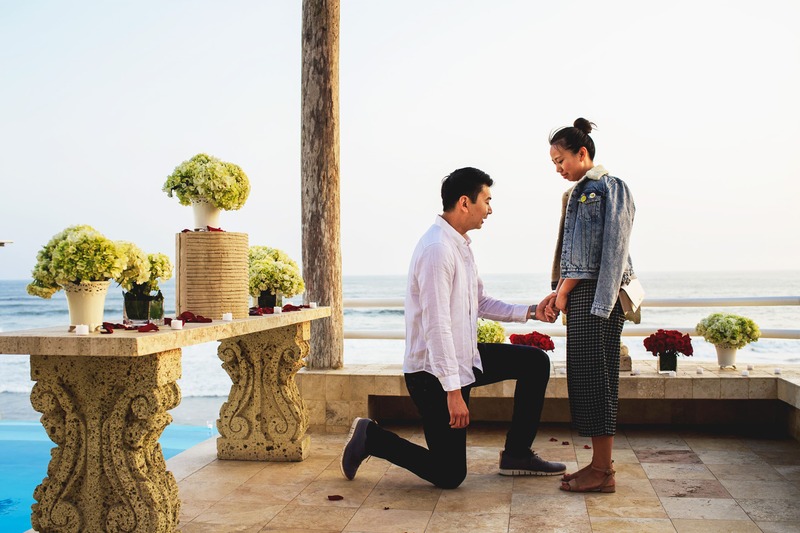 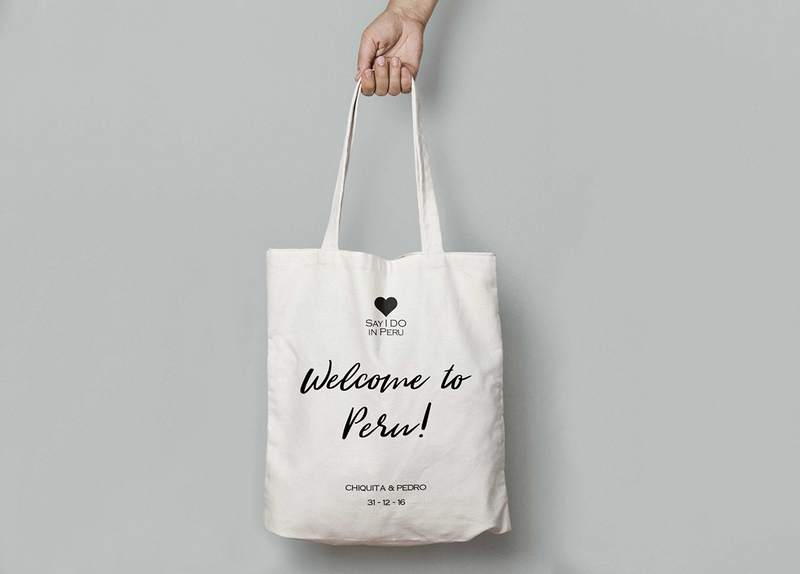 They are excited for the wedding event itself plus they have a big curiosity of learning more about the Peruvian culture and meeting local people. 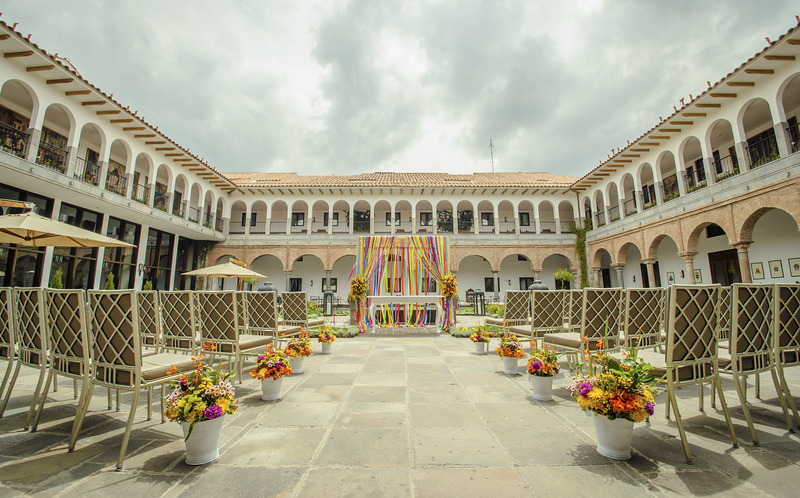 That’s exactly what happened during this event, a lot of good energy and vibes coming from the guests who really wanted to have fun in a traditional Peruvian style setting. 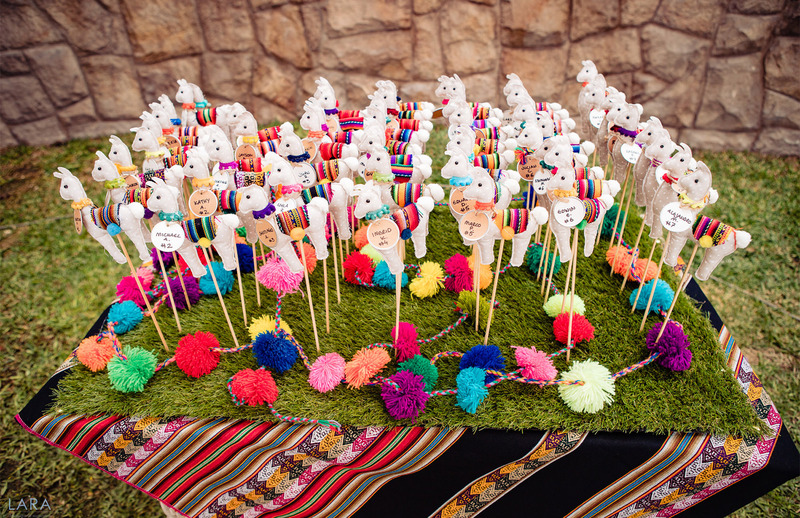 Bride and groom opted for Peruvian decorations, in the traditional vibrant colors: yellow, red, blue, green, pink and purple. 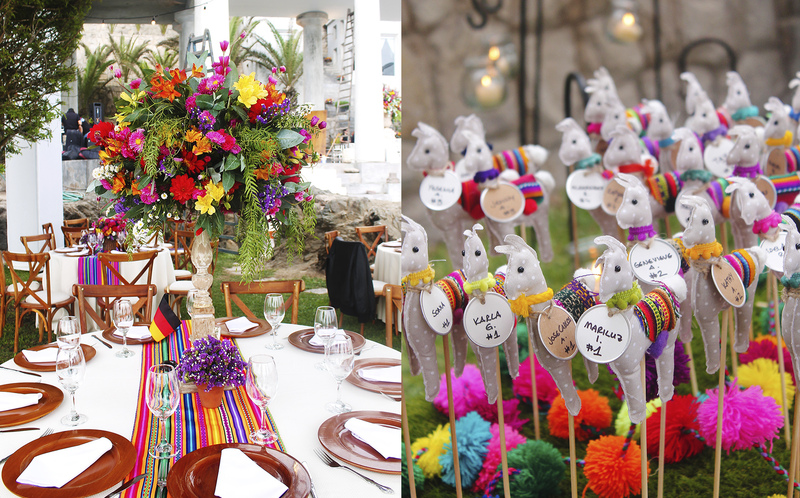 We included colorful fabrics for the buffet table, the dessert table and the cheese table, colorful flowers in high vases as centerpieces, Peruvian red, orange and yellow aji peppers and native potatoes bouquets as flower decorations, cascading pompoms inside the reception tent, little llama as table nametags and Peruvian fabric embraided tote bags as wedding favors in perfect Peruvian style. 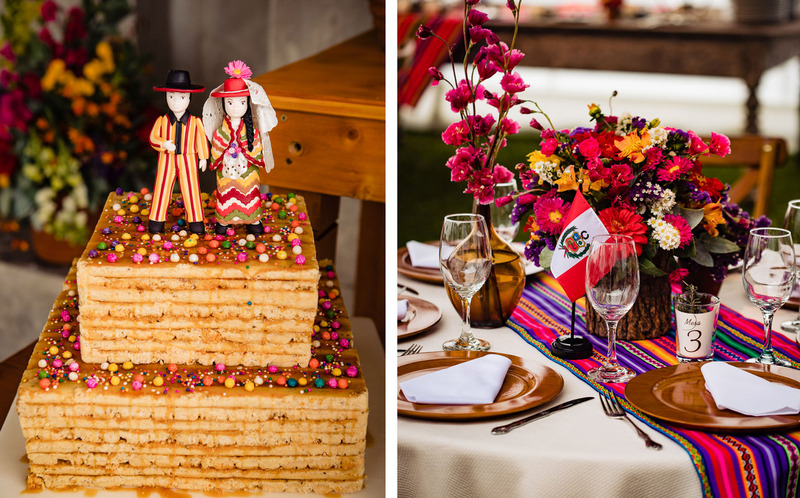 So, every elements of the decoration was perfectly in line with the main theme of the event: a Peruvian style destination wedding! 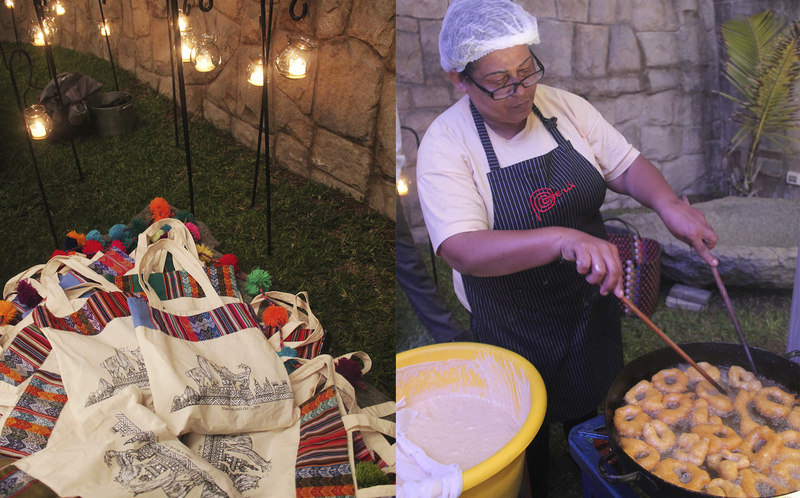 The food was also in line with the theme: little “tamales”, baked potatoes with “ocopa” sauce, steamed rice with corn and parsley, “aji de gallina”, “lomo saltado” among other traditional dishes. 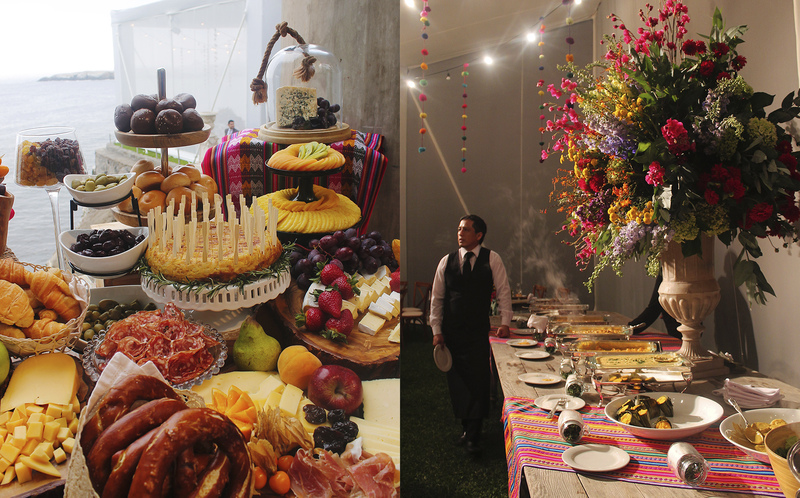 The perfect celebration of Peruvian traditional “criolla” cuisine! 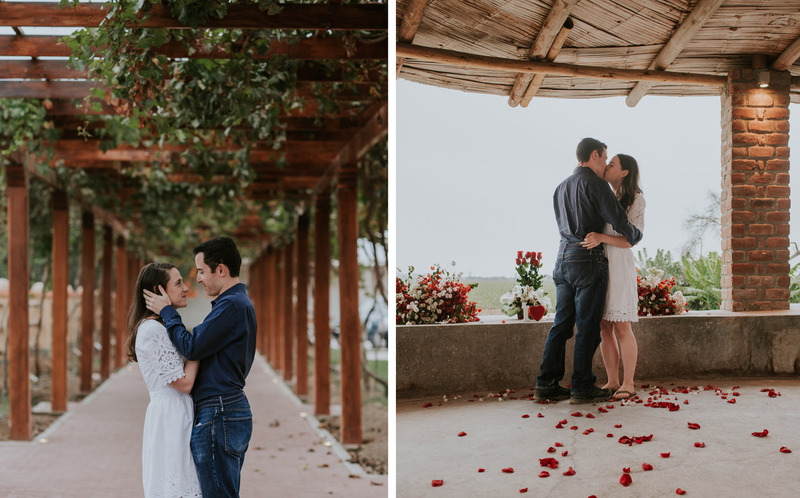 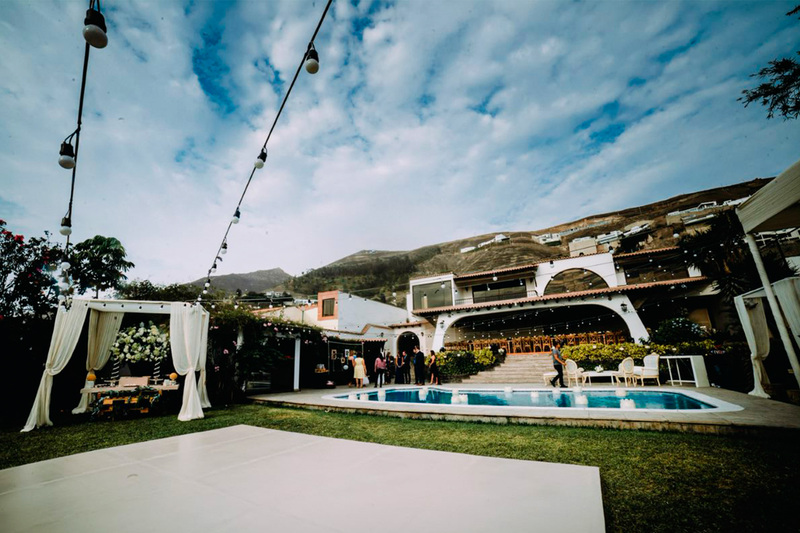 It was such a privilege for us to be part of such an amazing celebration and we loved all the planning process, since we felt that we put together a perfect Peruvian traditional wedding with a very special modern touch. 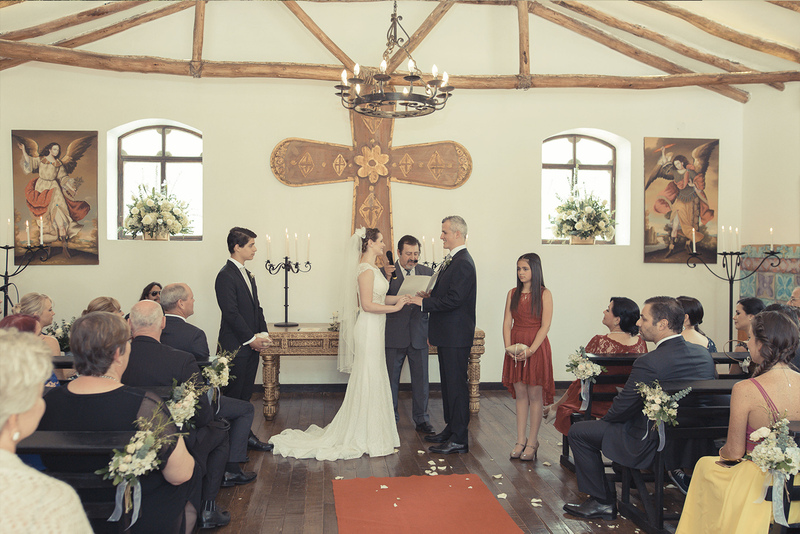 After so many years of activity in this crazy destination wedding industry I have understood that the best way to keep track of everything is, a part of being organized (that’s the basis), to consolidate the information in only one document. 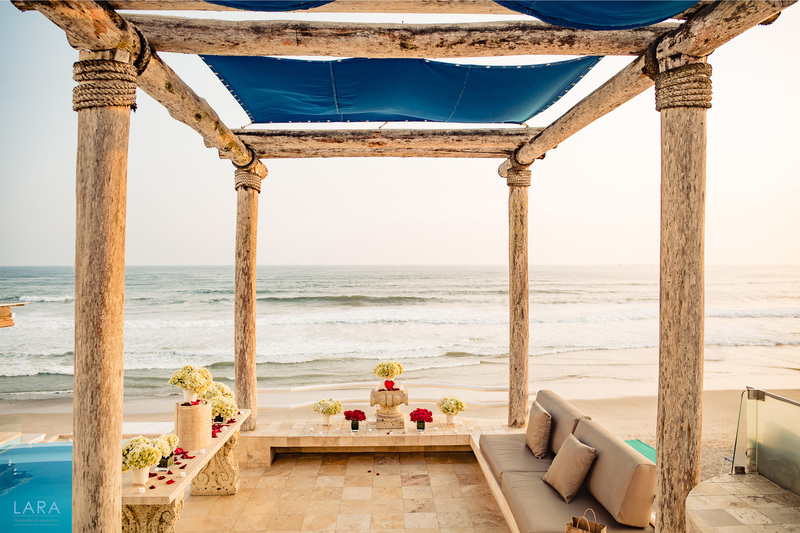 That’s exactly the key for successful destination wedding in my opinion. 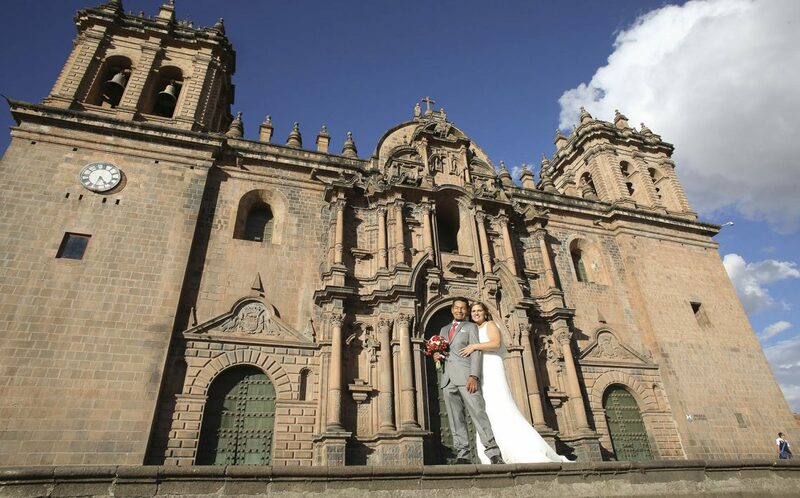 Me and my team are able to consolidate any piece of information about a destination wedding in a pioneering file that we call the “Wedding Schedule”, let’s say the Say I Do In Peru Wedding Schedule, since we developed this file in-house. 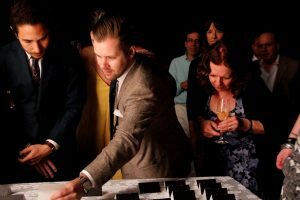 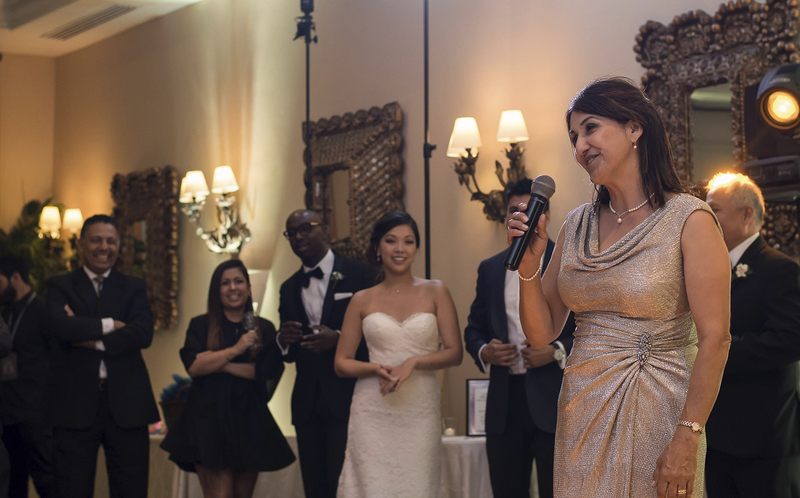 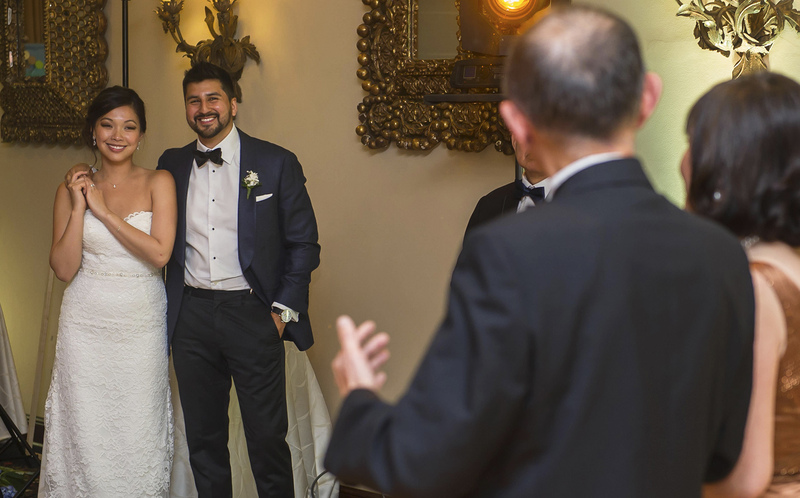 In the wedding schedule we include information regarding the wedding ceremony, the reception, and any other wedding-related event, but most importantly we do it by going deep into details. 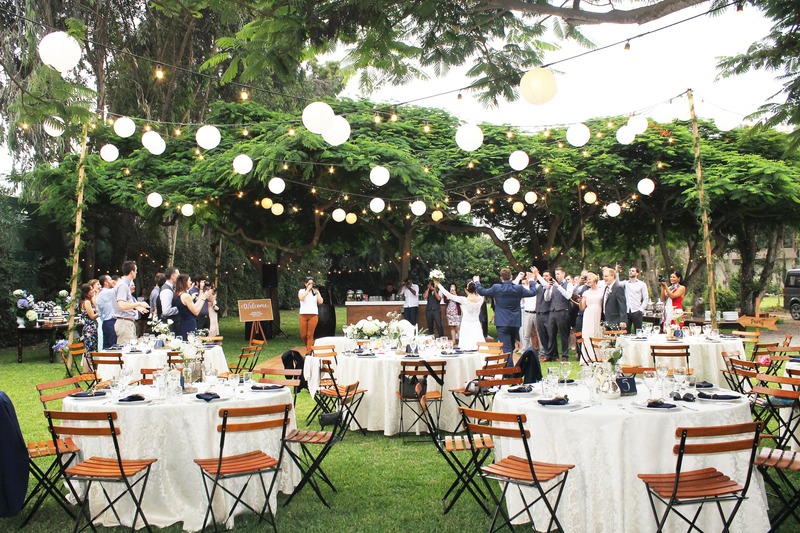 For instance: “What’s the color of the flowers for the reception’s centerpiece?”, “How many bottle of champaign for the toast?”, “What is the song for the bride and groom’s first dance?” and much more. 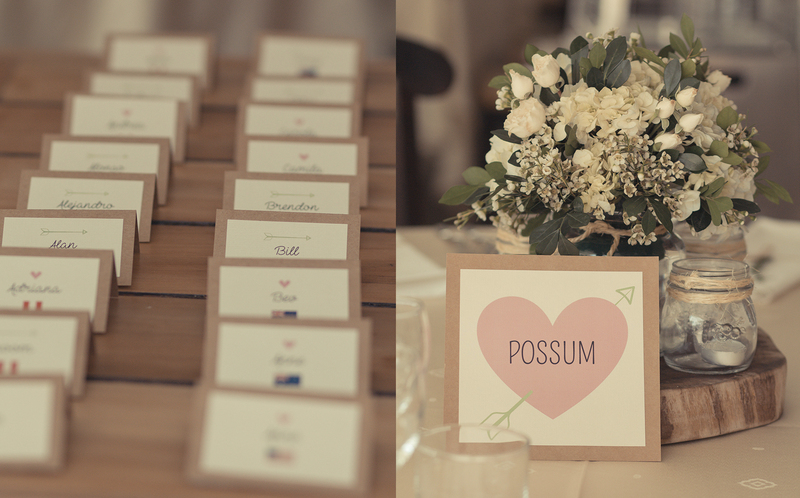 Every piece of information about your wedding is there, and nothing will be a surprise this way. 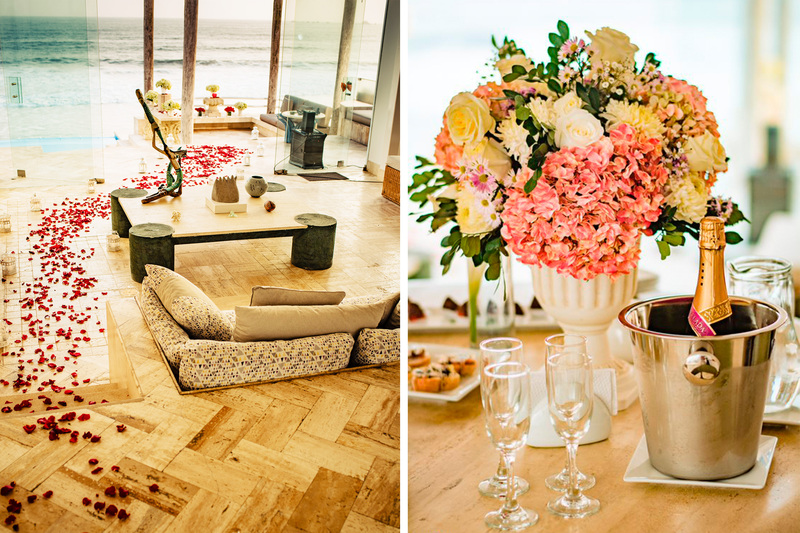 As long as there are surprises your friends and family are planning for you and we do not know about it! 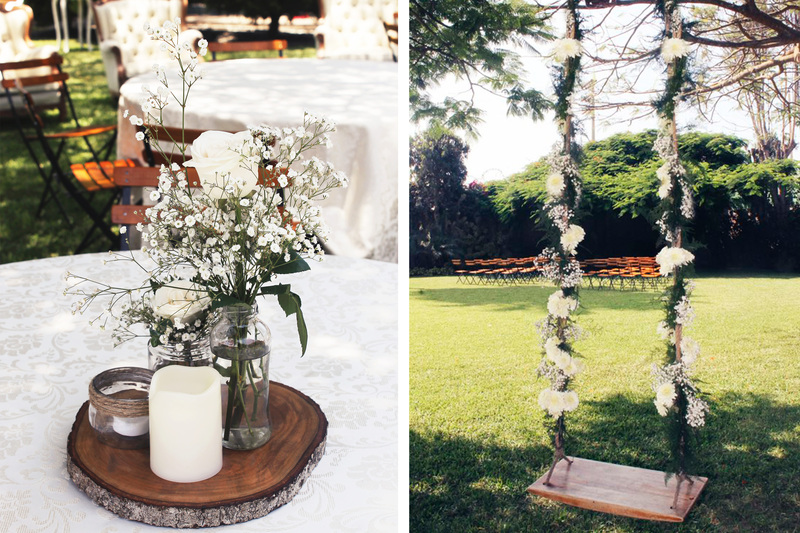 We have learnt that everything is possible in wedding, and we always have to be prepared for any incovenience. 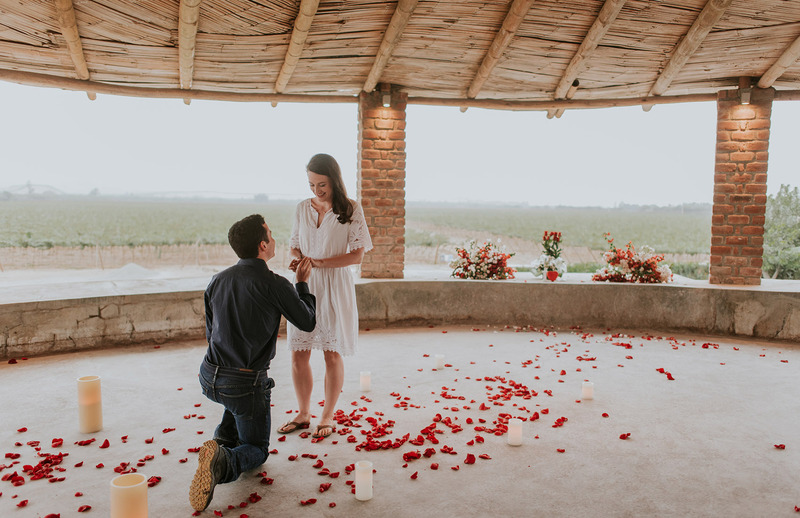 So there is always space for surprises! 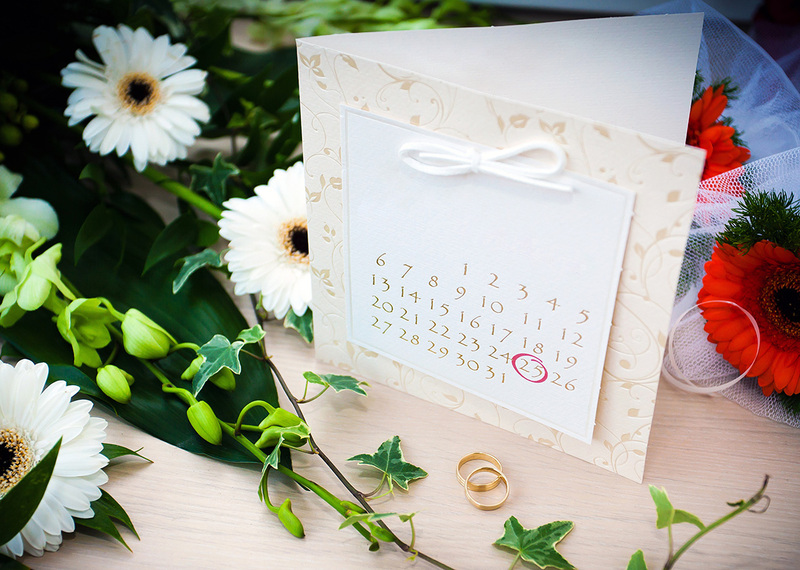 What are the best pros of using the Wedding Schedule for your destination wedding? 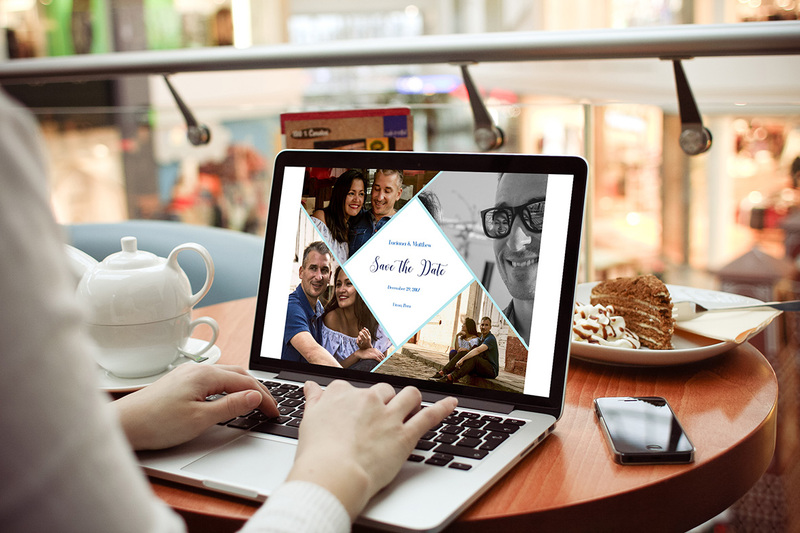 *You have every piece of information in one document, and you can easily find the information you are looking for. 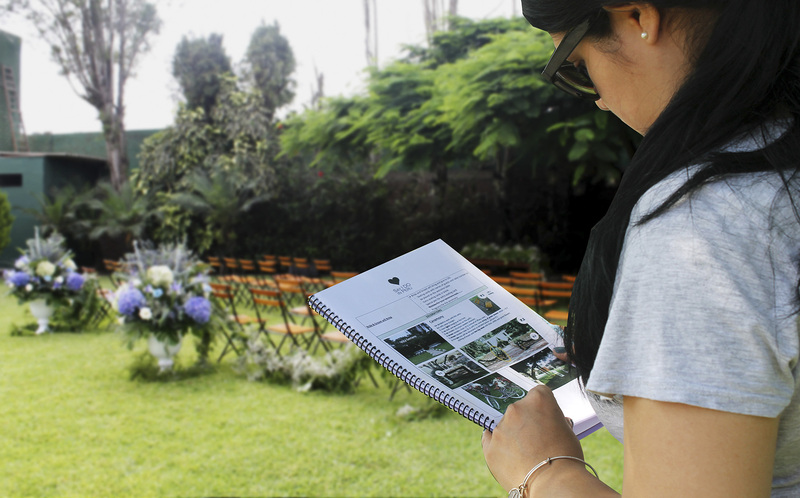 *It allows you to go deep into details and keep adding specs and information. 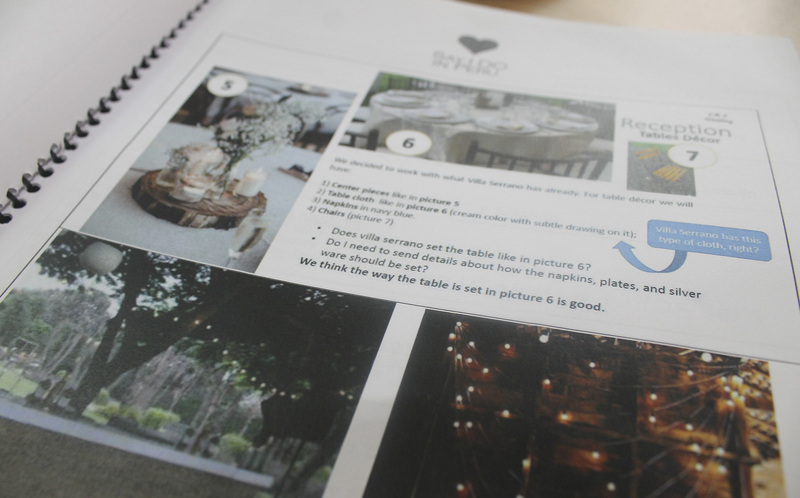 This is really up to the couple, it depends on how deep they want to go during the planning process. 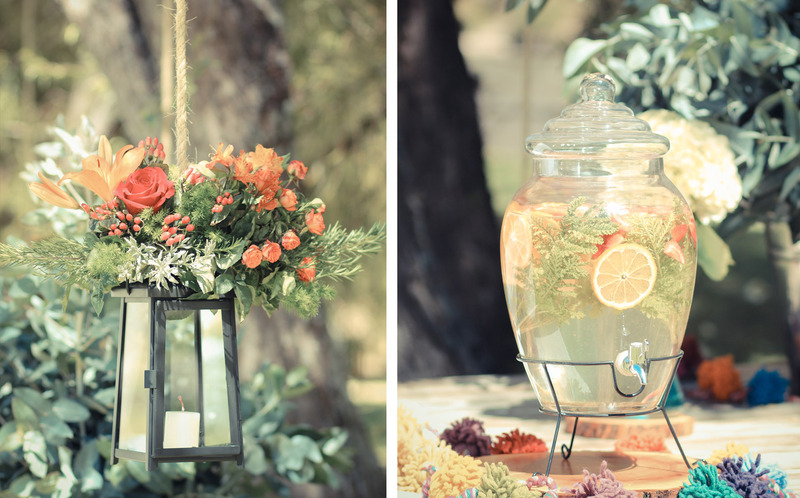 *It is a great way to keep timing under control. 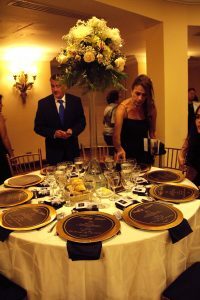 For instance, if the ceremony lasts 40 minutes and it starts at 4:00 pm, there is no way the reception can start 4:30 pm. 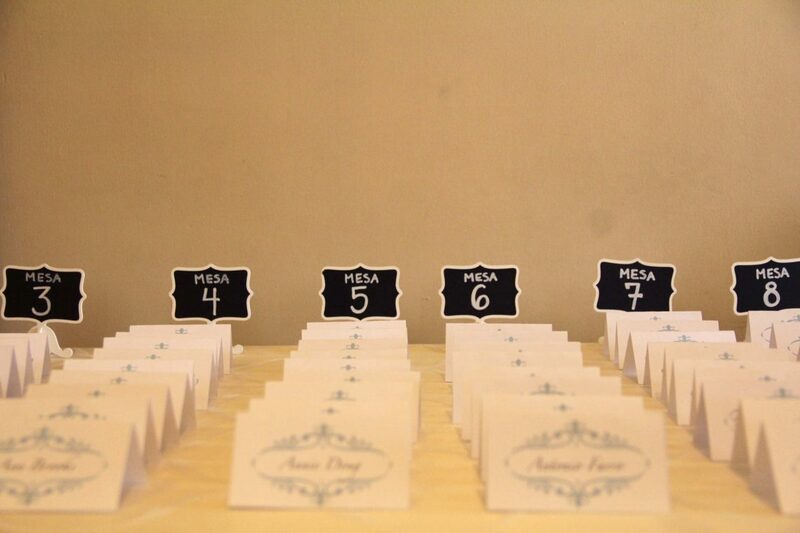 Having a clear timeline is a must in wedding. 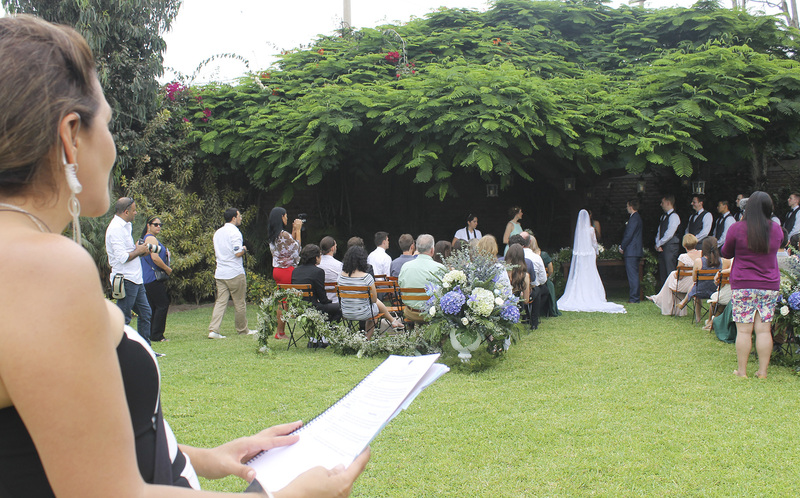 *The couple can make several changes to the wedding schedule until the final version is issued. 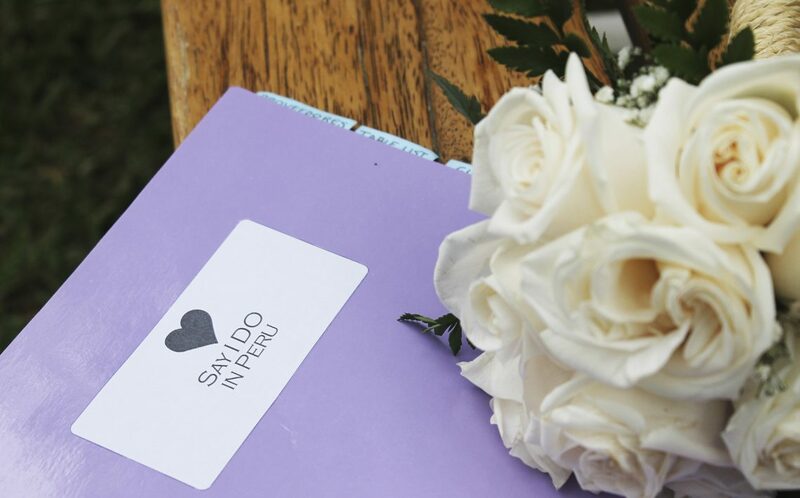 Once we close the wedding schedule, this will be the script of your wedding. 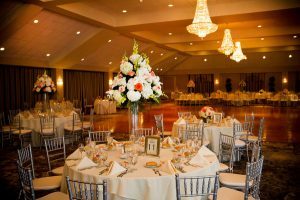 *The couple and the wedding planner know exactly what is going to happen at a specific time and how it is going to happen. 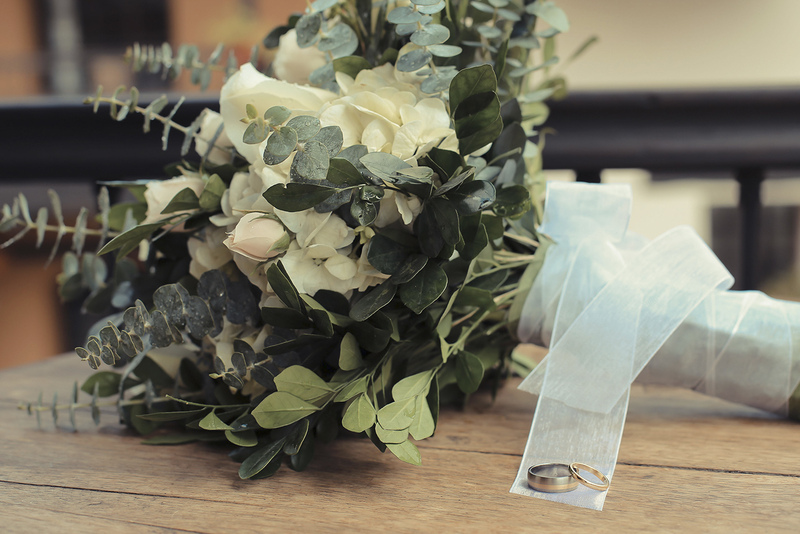 So it is easy to keep everything under control, especially on the wedding day. 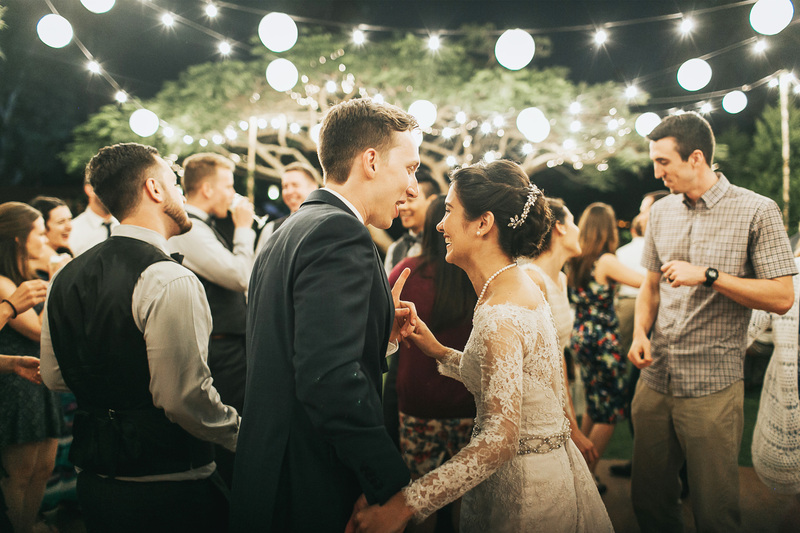 *We reach our main goal to fulfill bride and groom’s expectations by delivering exactly the wedding they were dreaming of. 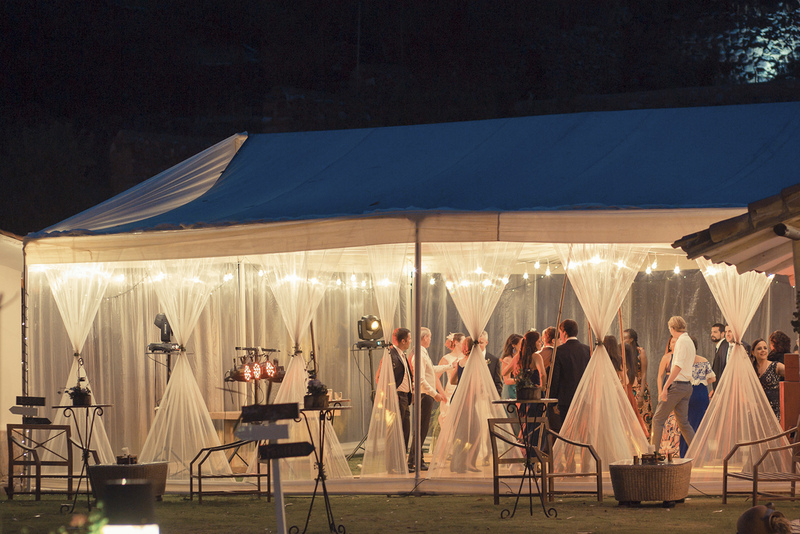 *It is an effective way to avoid any misunderstanding that could arise during the planning process. 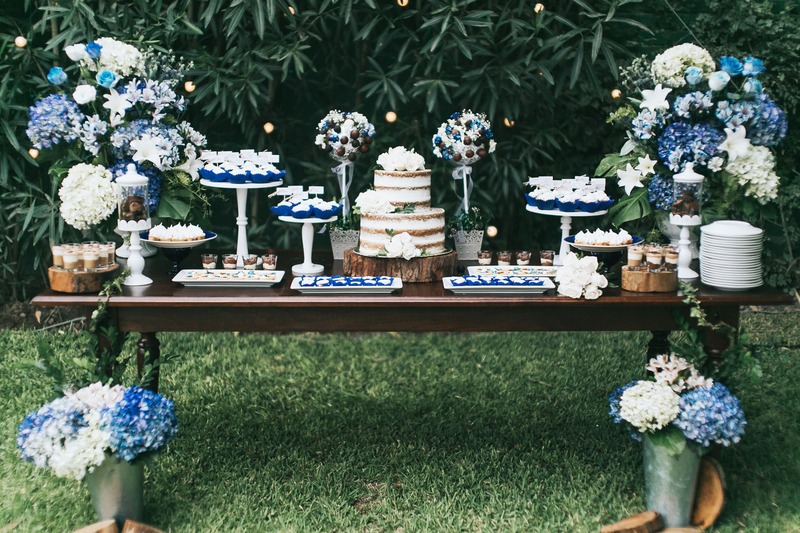 Dessert Table is Becoming a Must Have! 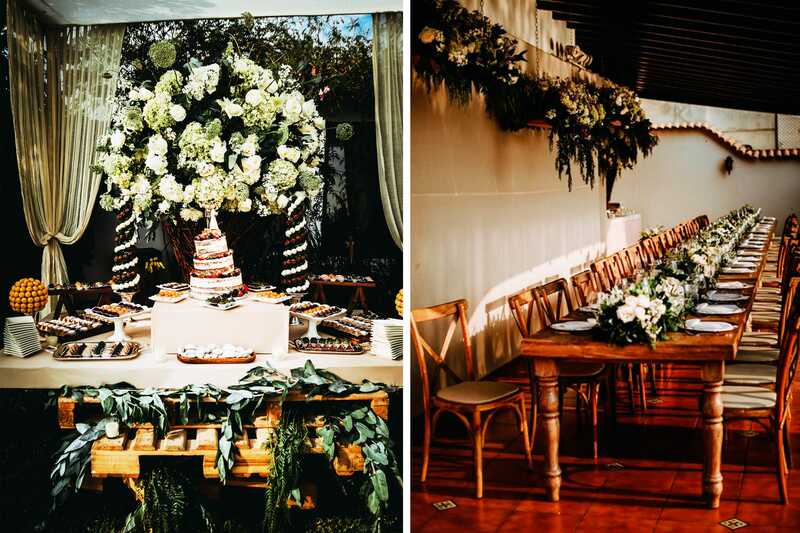 If there is something I have clearly understood in the last years as wedding planner is that an amazing wedding cake, displayed in the right way, rounded by other mini-desserts, cupcakes, chocolate truffles, macarons, cookies and more will seriously impress your guests. 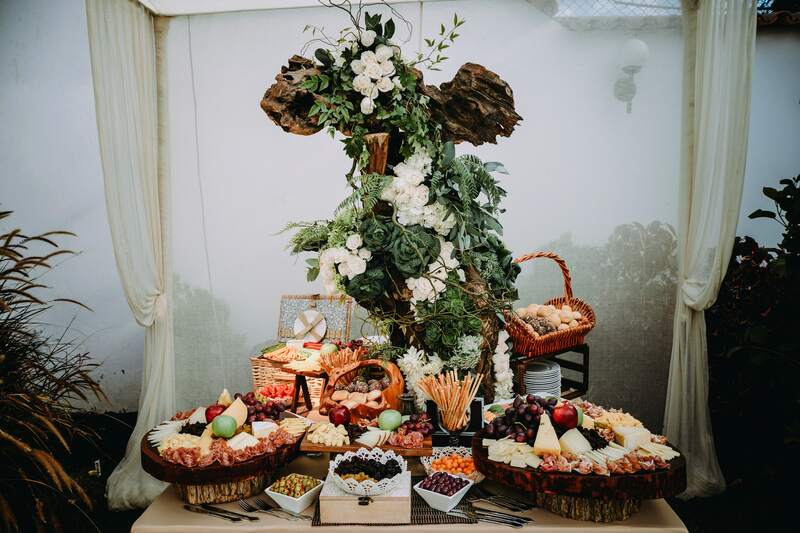 A well done dessert table, with the right selection of sweets, the appropriate decoration will become the most frequented spot of the reception. 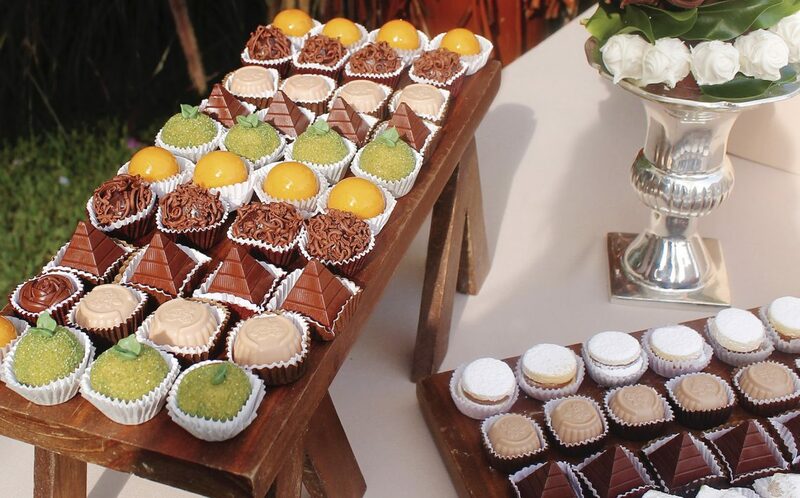 People will look at the sweets as child thinking on which sweets to pick. 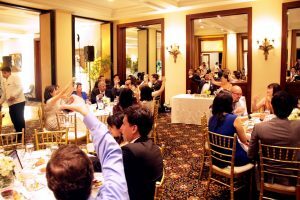 Among them you can opt for cupcakes, truffles, cookies, cake pops, macarons, candies, jelly beans, little tarts, chocolate bars, etc. 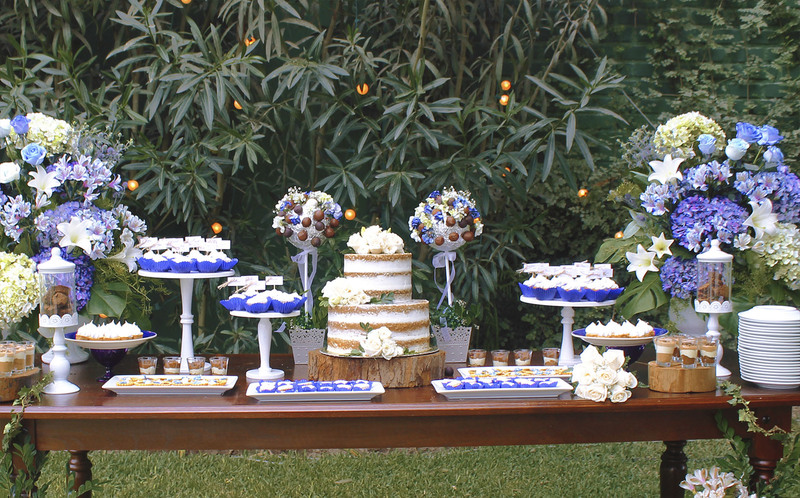 * Personalize your dessert table, based on guests’ tastes and yours as well. 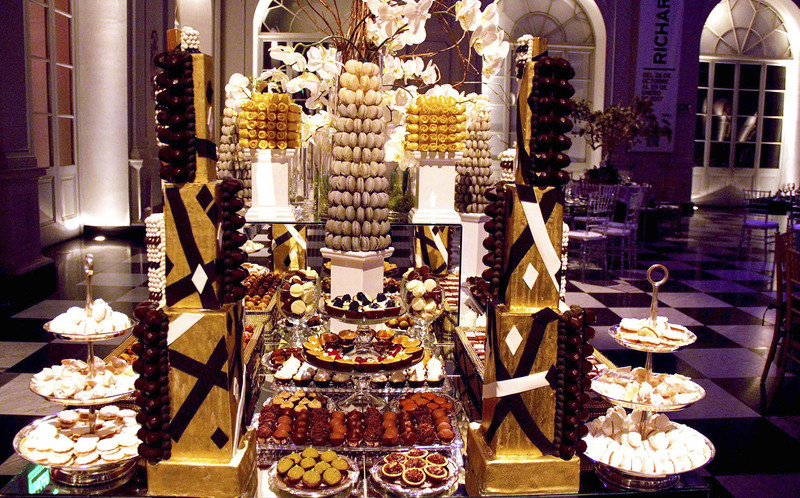 For instance if you are into chocolate, go for chocolate truffles, little chocolate cookies, chocolate cupcakes, chocolate cake pops etc. 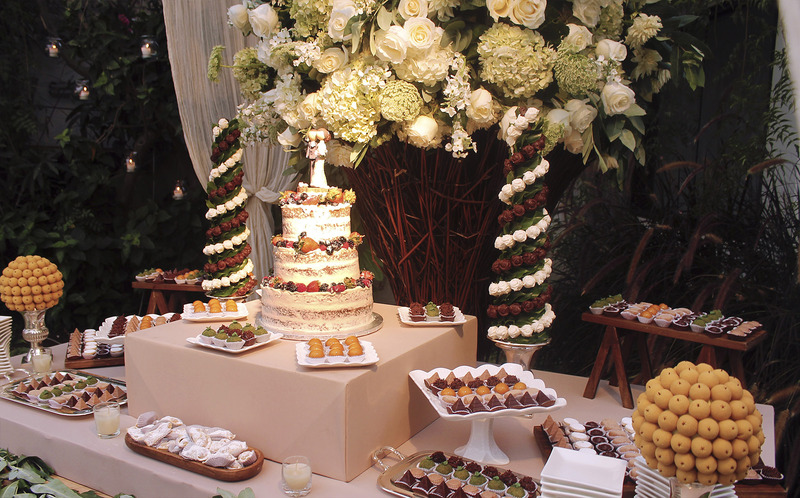 * Balance the selection of desserts with the wedding cake flavor. 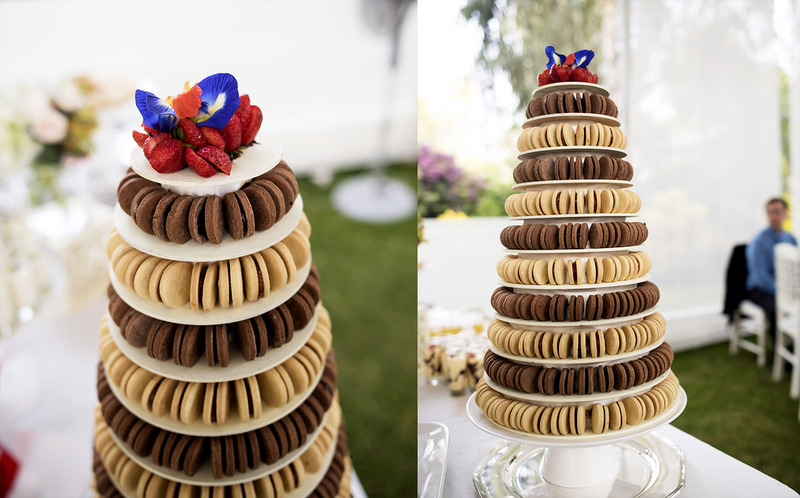 If you opted for a chocolate cake, avoid to choose more chocolate sweets. 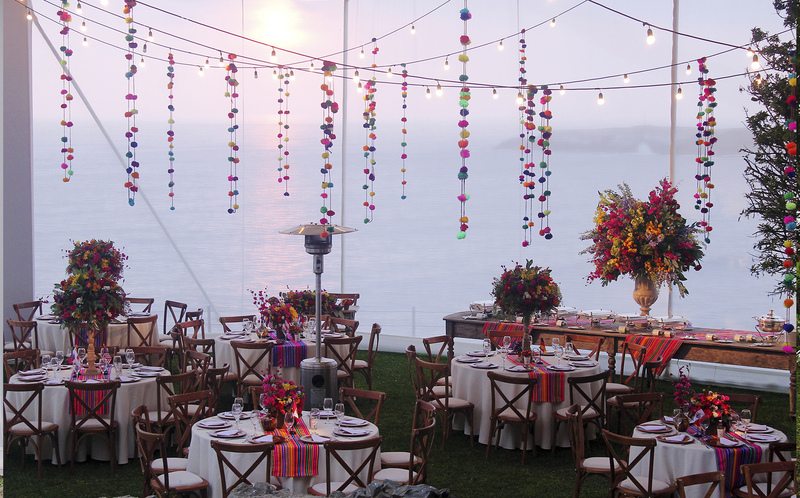 * Use decoration in line with your color palette. 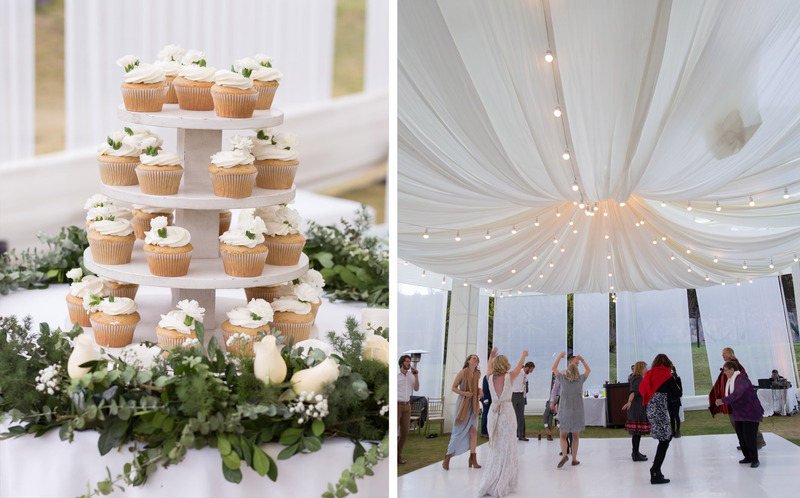 If you selected green tones, use green elements on top of the desserts, for the frosting tones, for the cupcakes wrappers, for the tray, the dessert labels, etc. 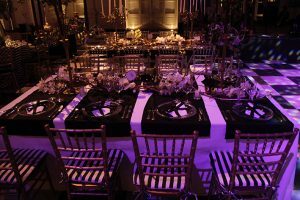 * Use cake stands, tiers servers, pedestals and plates of different sises but try to find a sustantial armony in the entire design idea of the table. 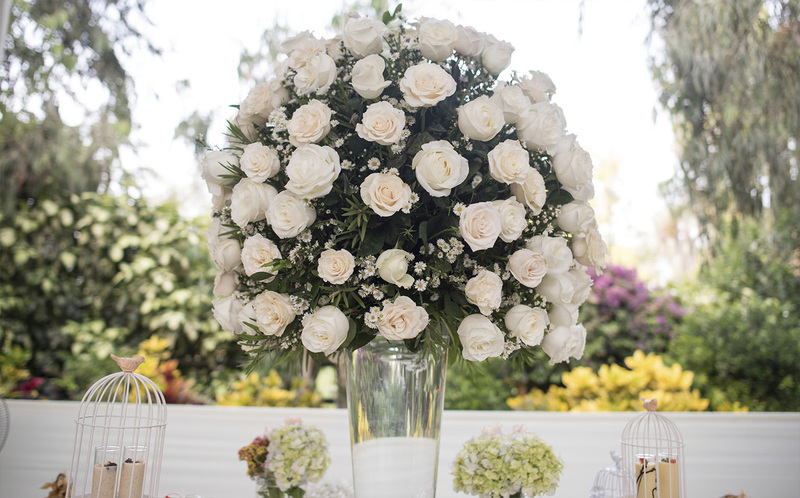 * Use inedible elements just as backing or at the sides of the table, such as balloons, paper rosettes, ribbons, flower arrangements, etc. 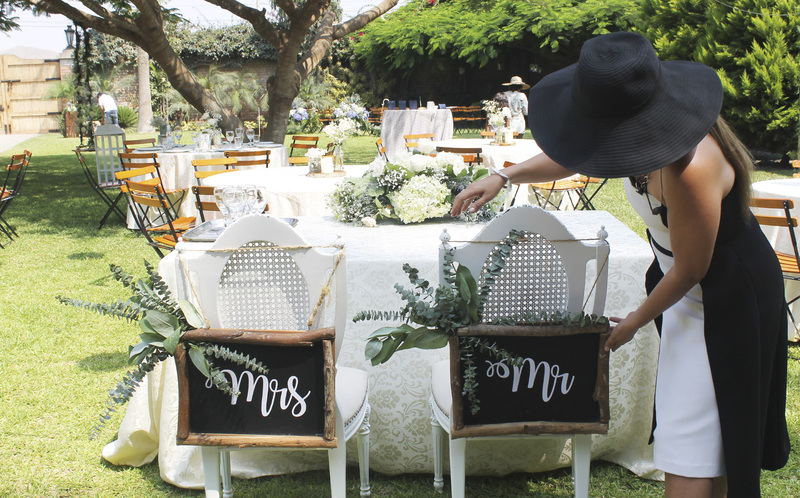 * Nice to have: a little coffee and tea station next to the dessert table, take-away boxes, so that your guests can decide to take away some of the desserts adn/or a piece of cake. 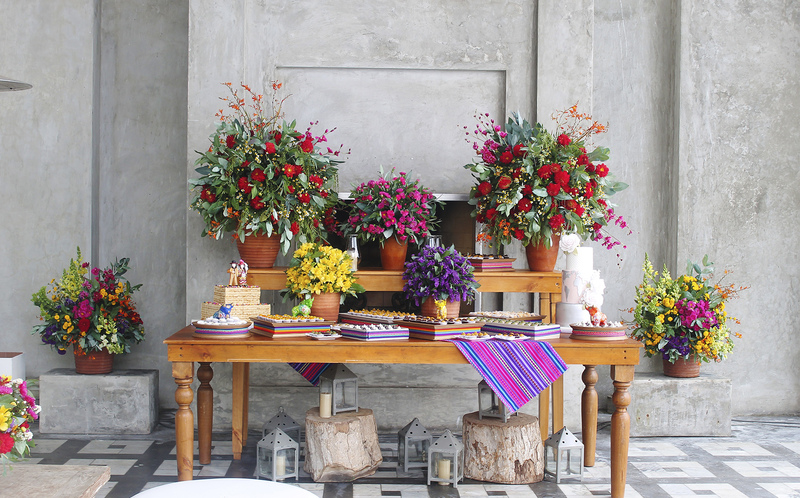 Considering that we are in Peru, give your dessert table a special twist adding Peruvian traditional sweets, such as “alfajores” and “suspiro a la limeña”. 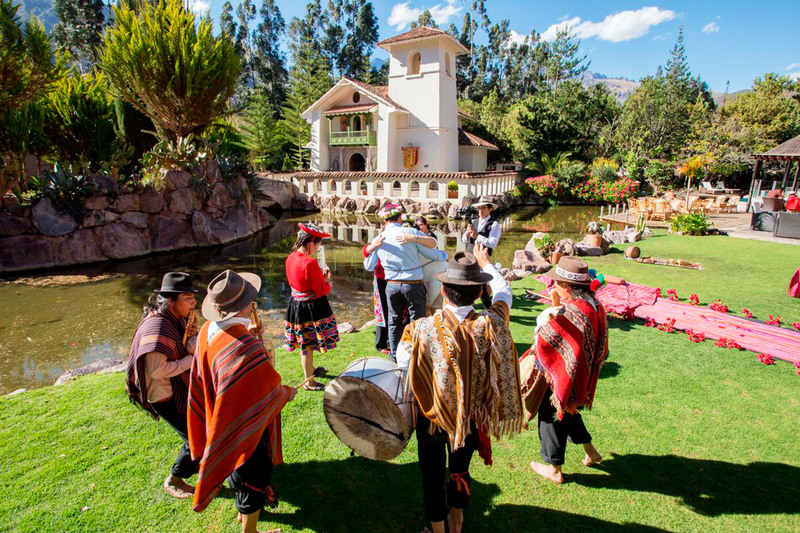 Peru, especially Cusco and the Sacred Valley region, is famous for the spiritual side of its natural elements, such as the mother hearth, the water and the wind, and for the very special cosmogony of the Incas. 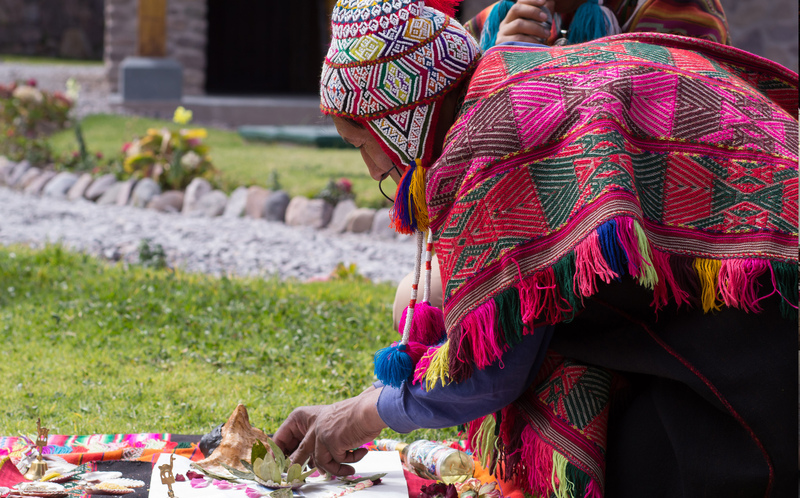 Indigenous people from the Andes have kept alive the ancient Inca spiritual traditions, and while traveling there you can feel this mystic atmosphere in the air. 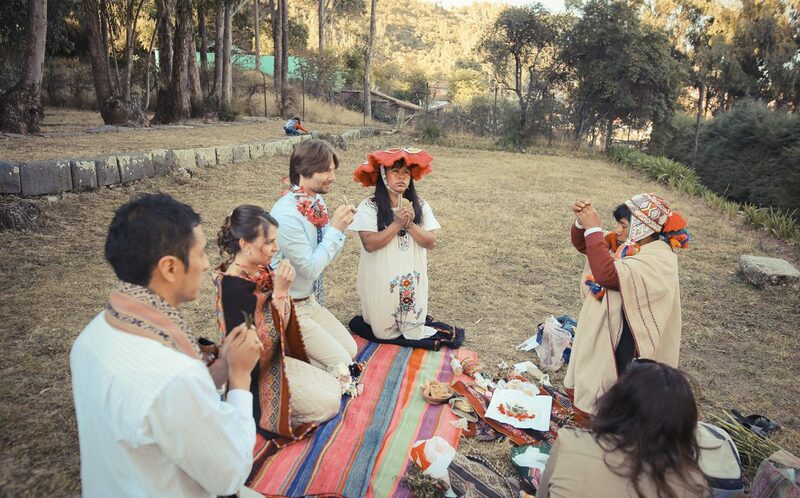 I am sure you have heard about the “Pachamama”, which is the mother heart for the indigenous people from the Andes. 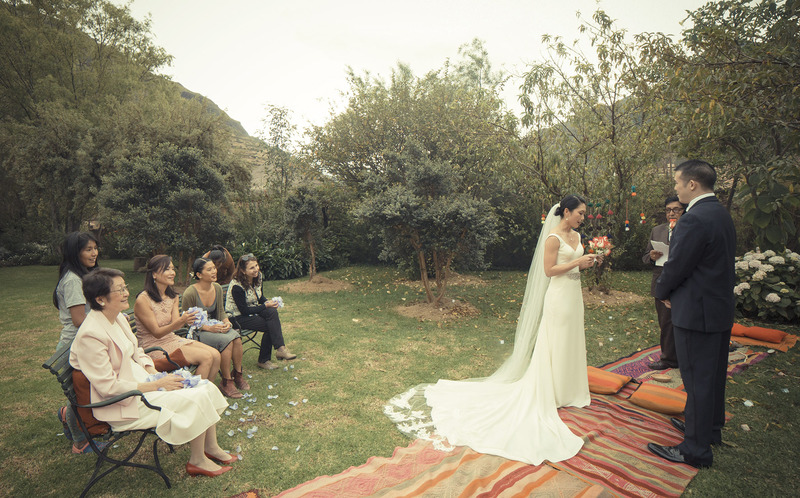 She represents the female side of the divine and she is considered the fertility goddess who nourishes plants, harvests and natural elements in general. 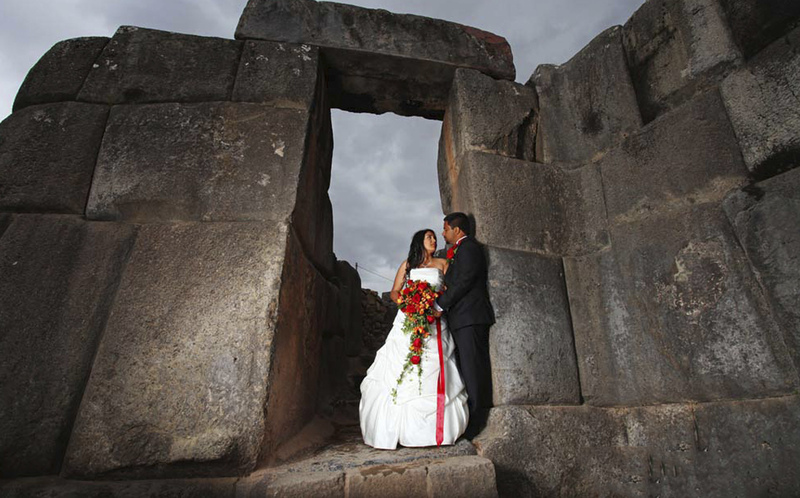 On the other end we can find the Apus, the male side of the divine word for Incas. 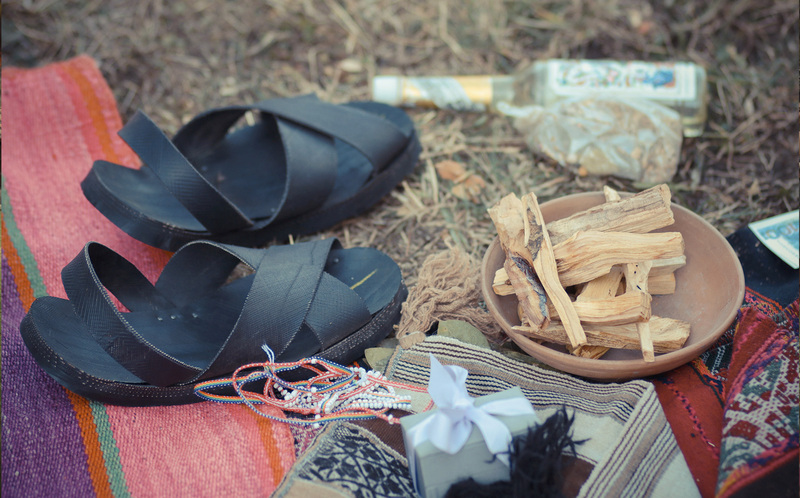 The Apus represents the mountain spirits that protect people against any kind of enemy. 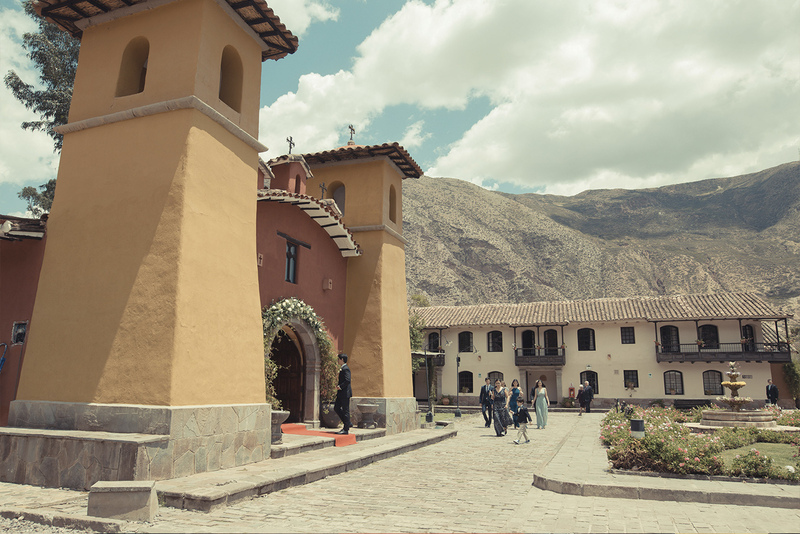 This is the Andean duality of the Inca cosmogony, which is fascinating and based on few basic principles: respect for nature, importance of the divine and holiness of natural elements: water, land, fire and wind. 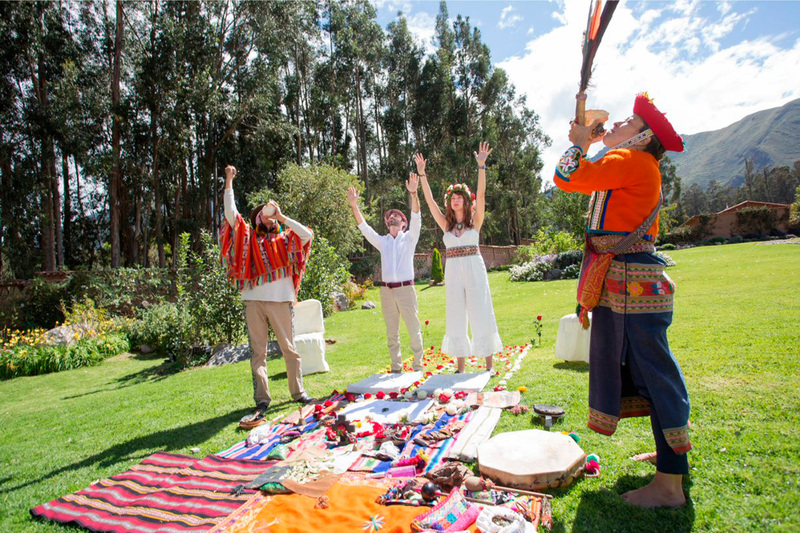 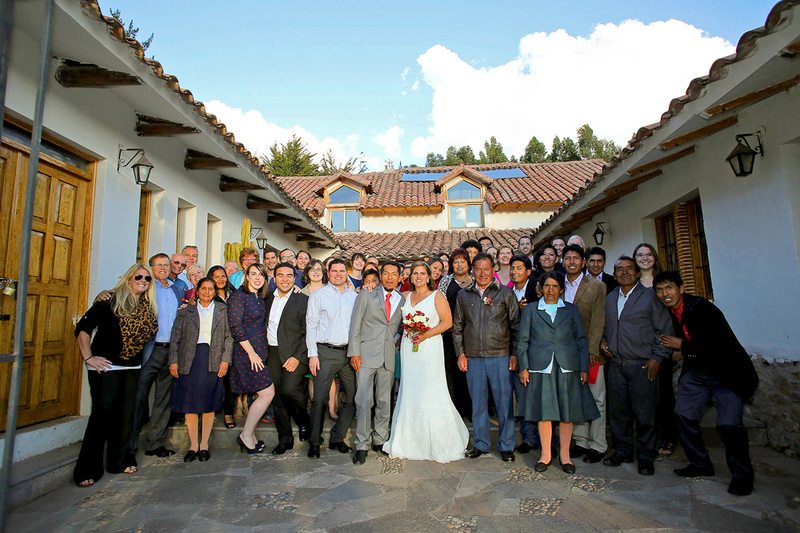 If you are looking to get married with a very special ceremony, that you and your guests will remember forever, an Andean ceremony is the choice you should made. 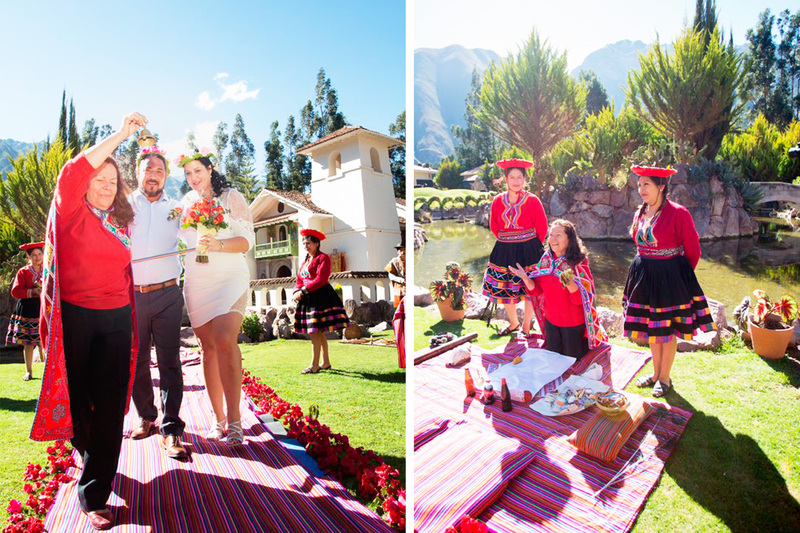 When couples look for something spectacular, I always suggest them to consider this spiritual ceremony, since this is a special occasion to live an extraordinary experience with their loved ones and to confirm their love before Incas gods. 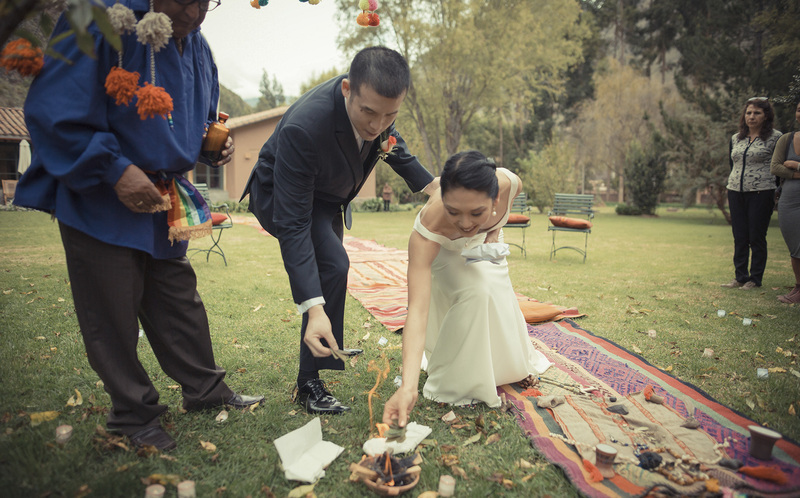 The officiant is a shaman who will guide you through this special path until the end of the ceremony. 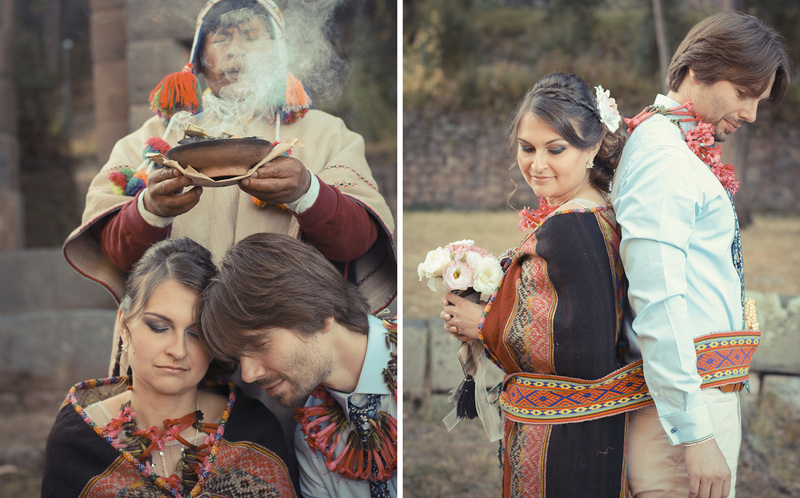 The shaman is an extremely important element of the ceremony and it is essential that bride and groom create a special connection with him. 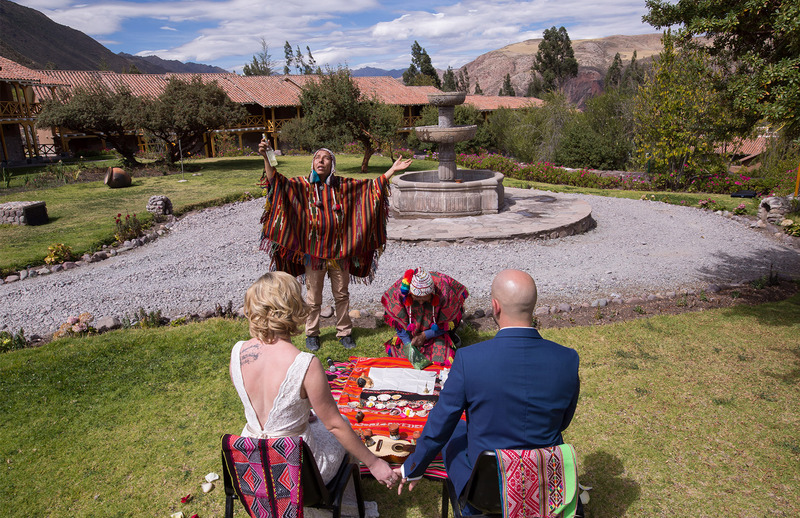 The day before the ceremony you need to meet the shaman and go to the local market to buy several elements and tools that you will need for the wedding ceremony. 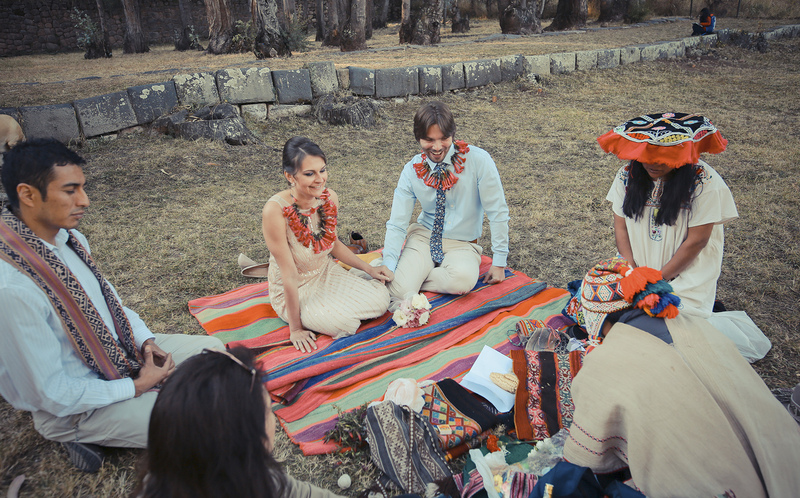 Usually a pair of sandal for the groom, a scarf, traditional clothes and accessories, coca leaves, flowers and some food to offer to the gods, basically seeds, beans and candies. 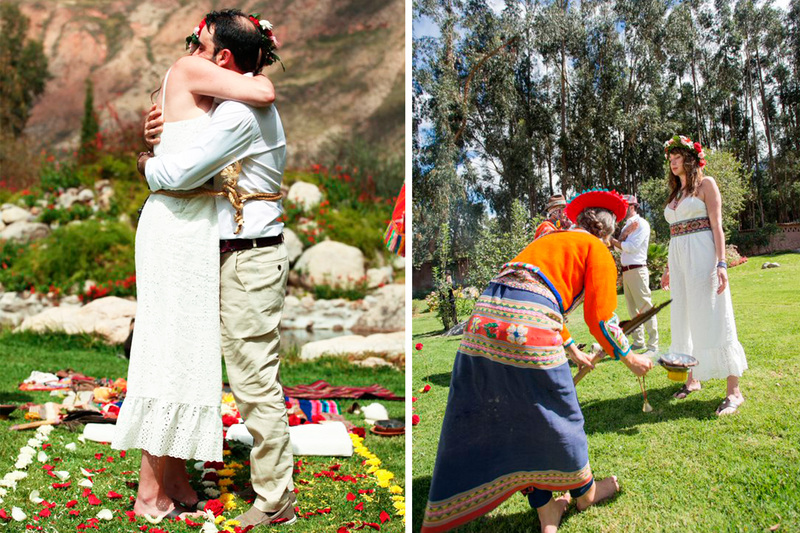 Once you buy all this, you are set to get married before Incas goddess. 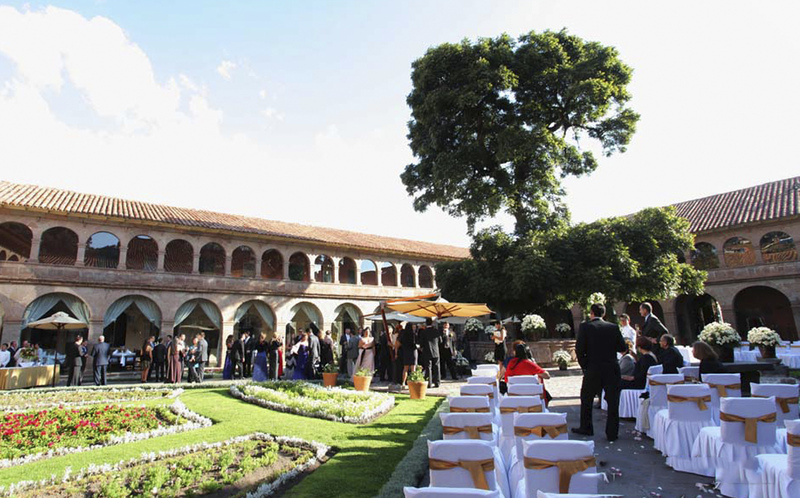 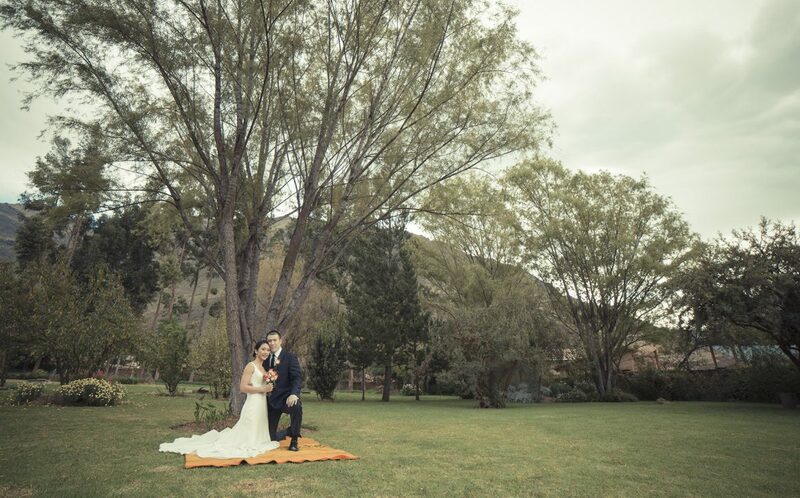 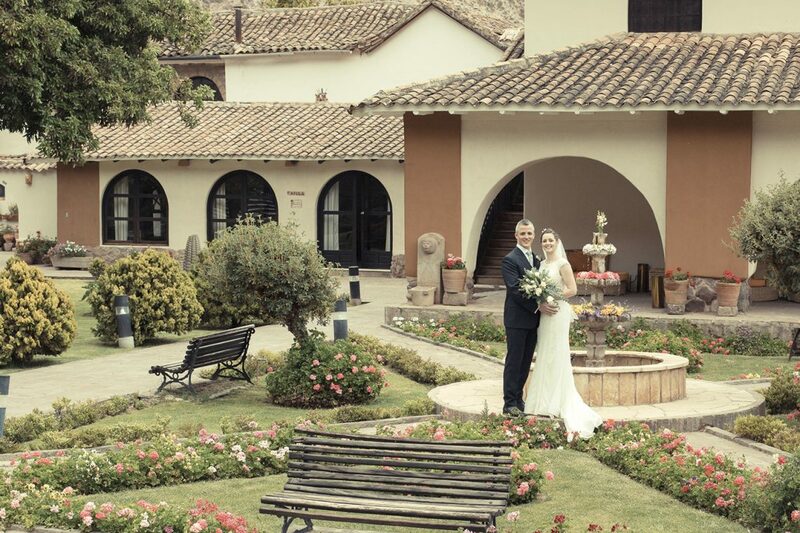 As for the settings, we usually suggest you to opt for a charming and characteristic venue in Cusco or the Sacred Valley, rounded by the Andean mountains that will add special spiritual vibrations to your ceremony or Incas ruins. 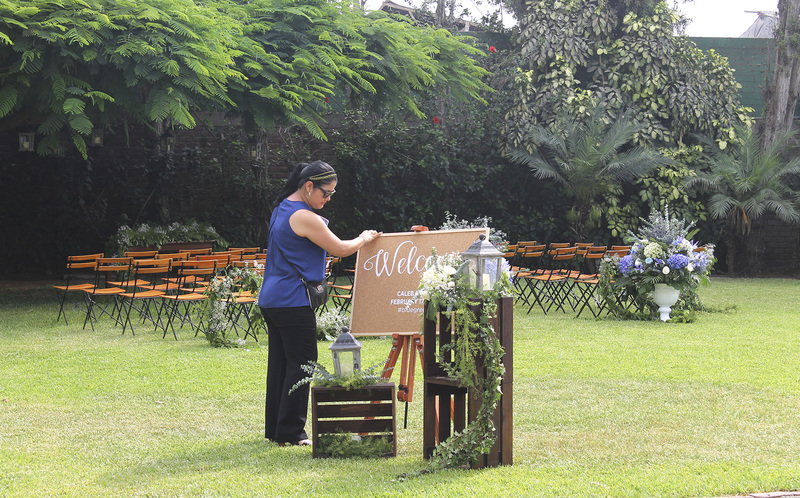 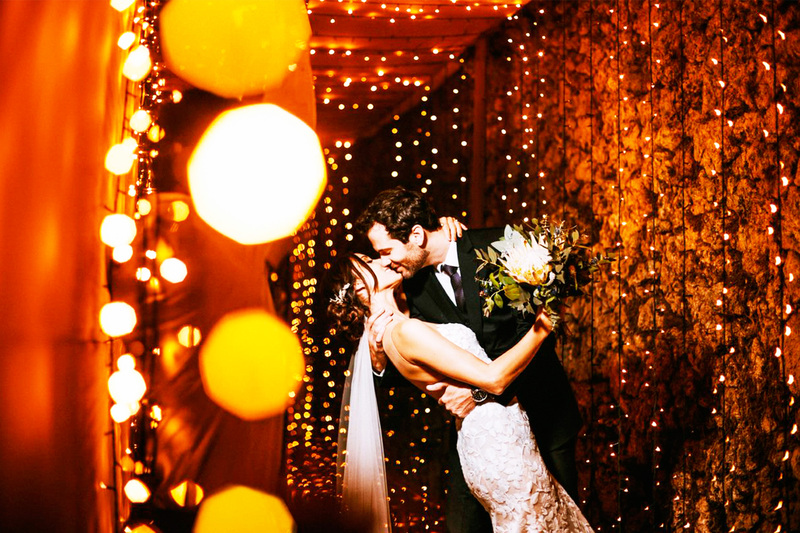 So be careful when choosing the venue, it has to be as charming and fabulous as the ceremony itself. 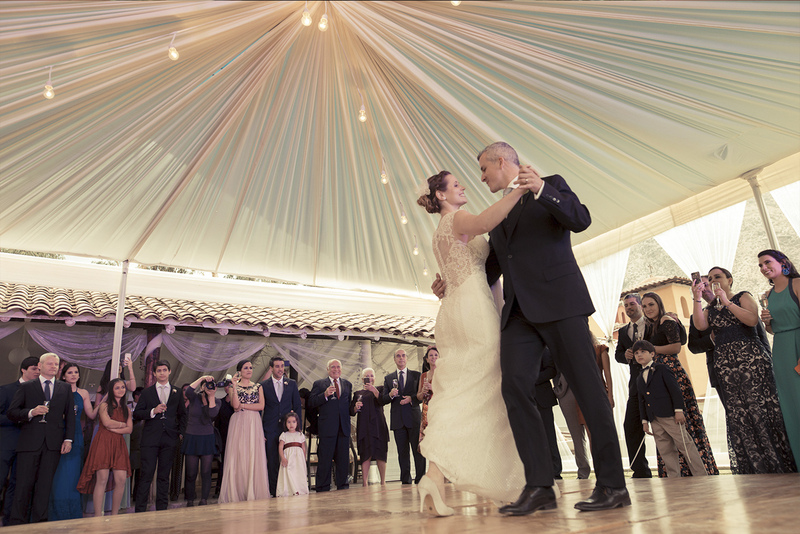 Other important element is the music! 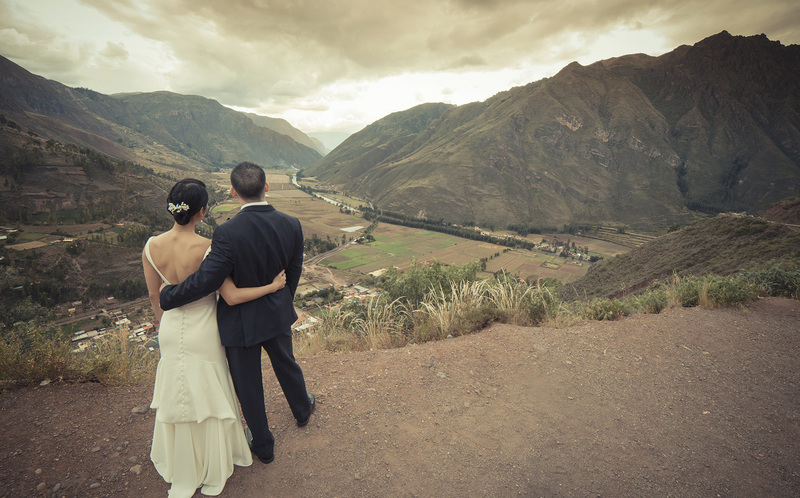 What I usually suggest to couples is to have a little group of musicians playing traditional Andean instruments such as the “Quena”, that is a notched-end flute, the “antara” or panflute, which is the most recognized and popular Peruvian music instrument worldwide, the “pomatinyas”, which are little drums covered by animal skin, among others. 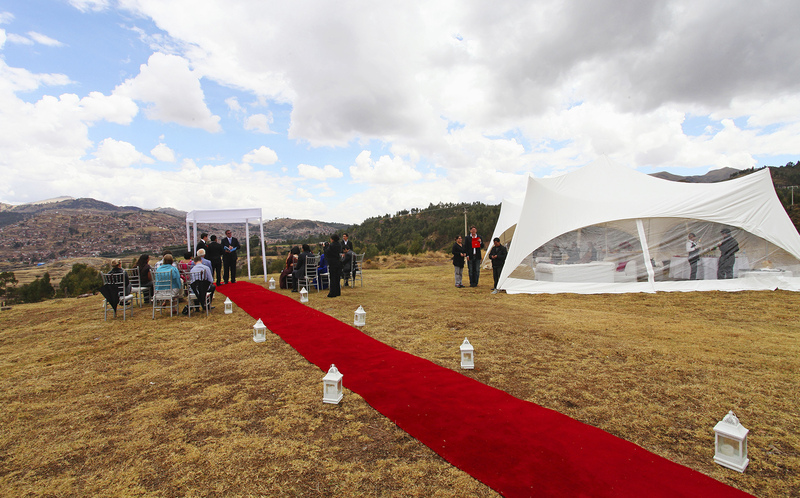 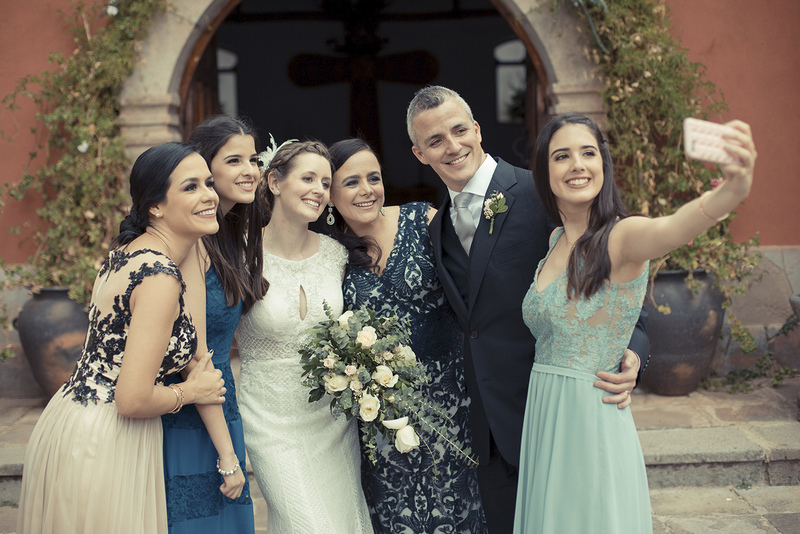 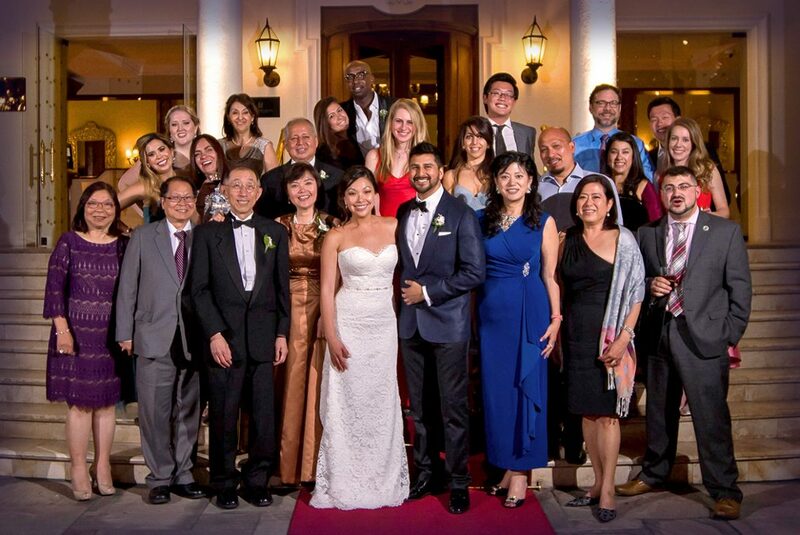 After the ceremony you can have a little reception with your guests and enjoy the experience you have just lived. 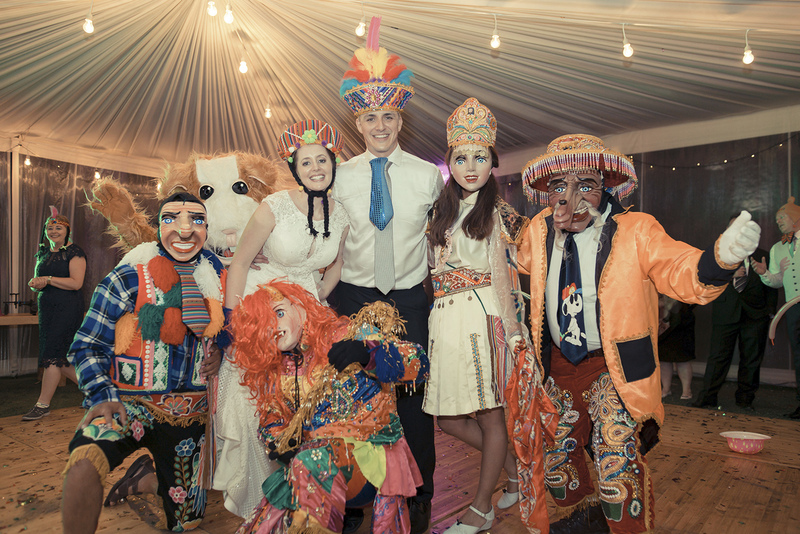 I can ensure that your guests will be amazed and very impressed by the ceremony. 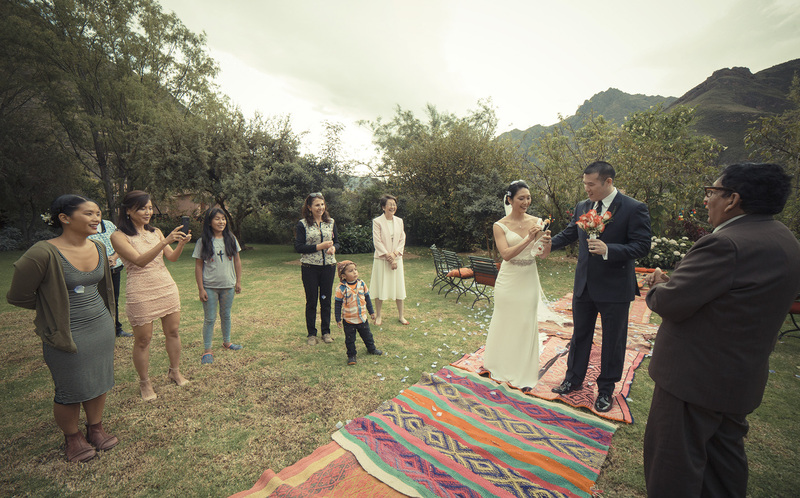 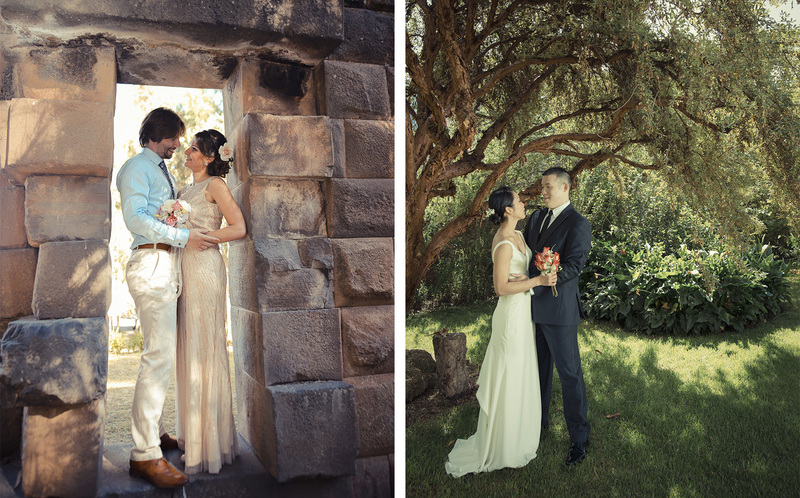 Usually couples who opt for an Andean ceremony want intimate and private weddings, and sometimes they just want to elope without any guests, and live that moment in complete privacy. 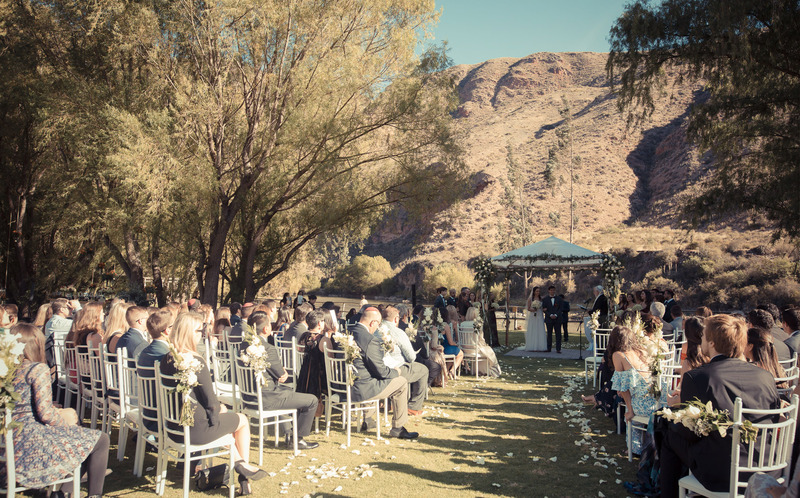 There is so much we can say to describe the beauty and the magnificence of this special ceremony, many words can be uses, but I believe that the only way to understand completely what I am talking about is to live it.